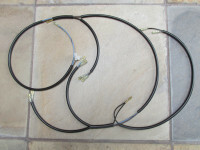 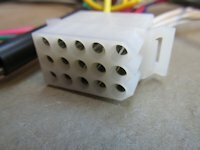 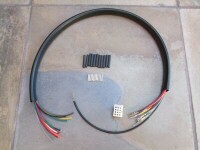 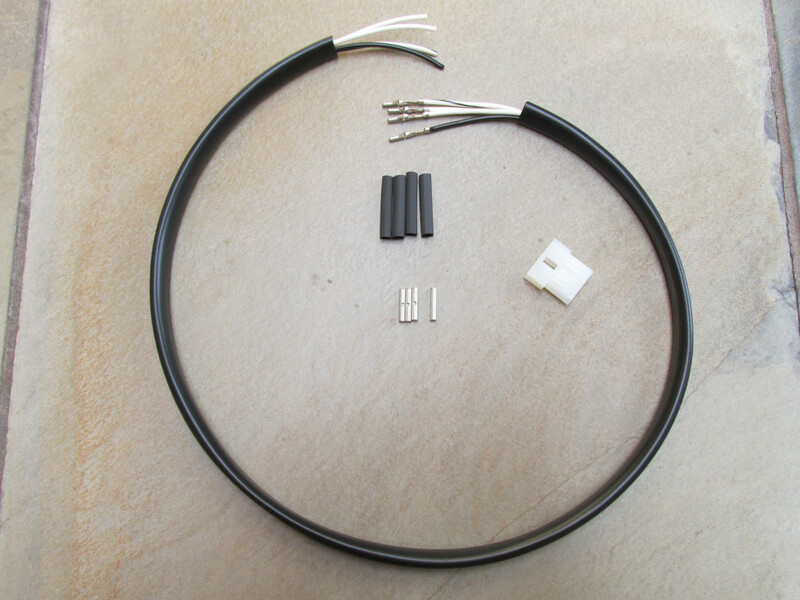 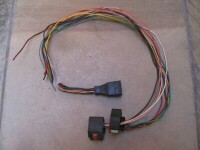 17747150: Main harness for the V1000 G5. 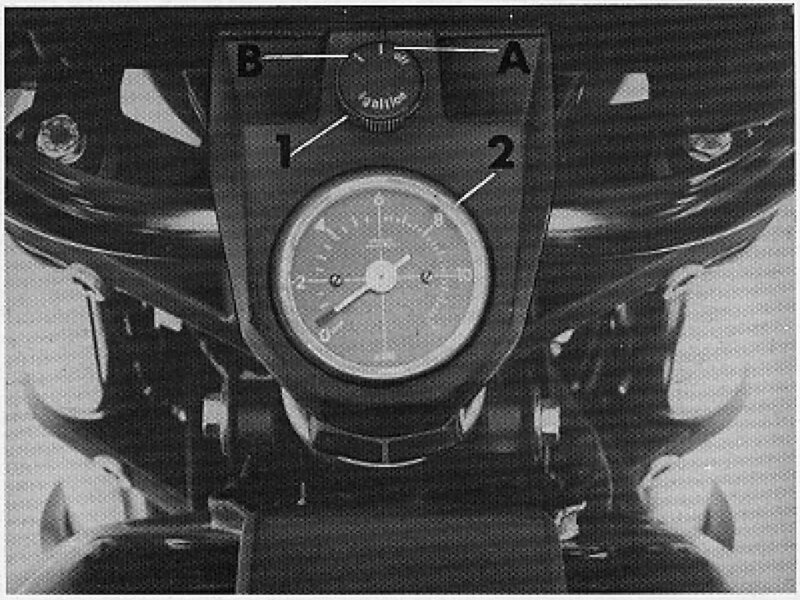 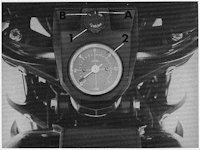 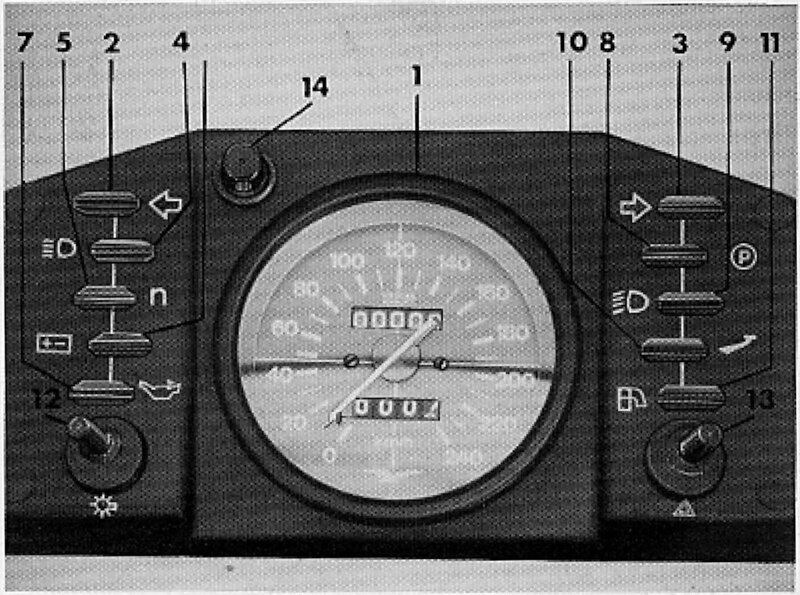 Inside the dash, connects the neutral indicator bulb to the oil pressure indicator bulb. 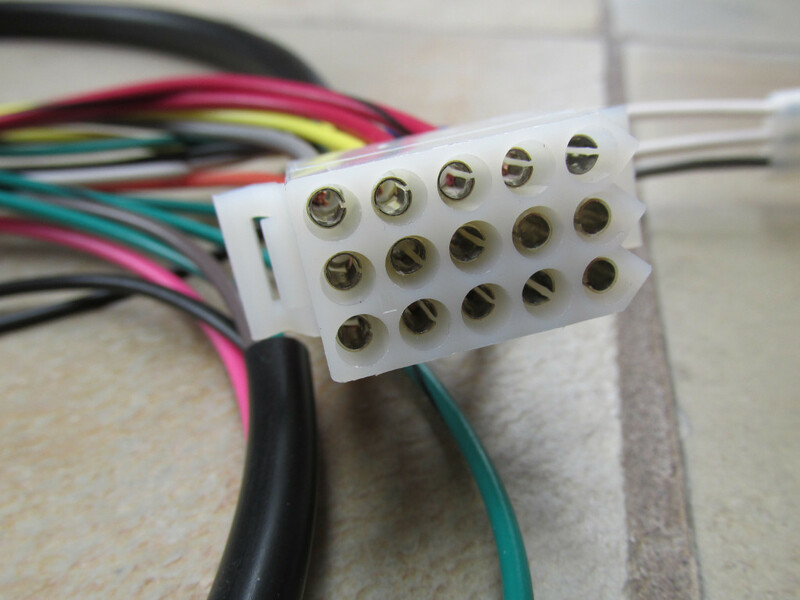 Uses the correct original piggyback terminal. 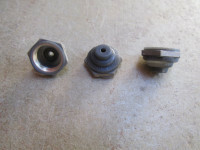 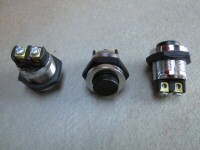 17755640: Neutral indicator to oil pressure indicator. 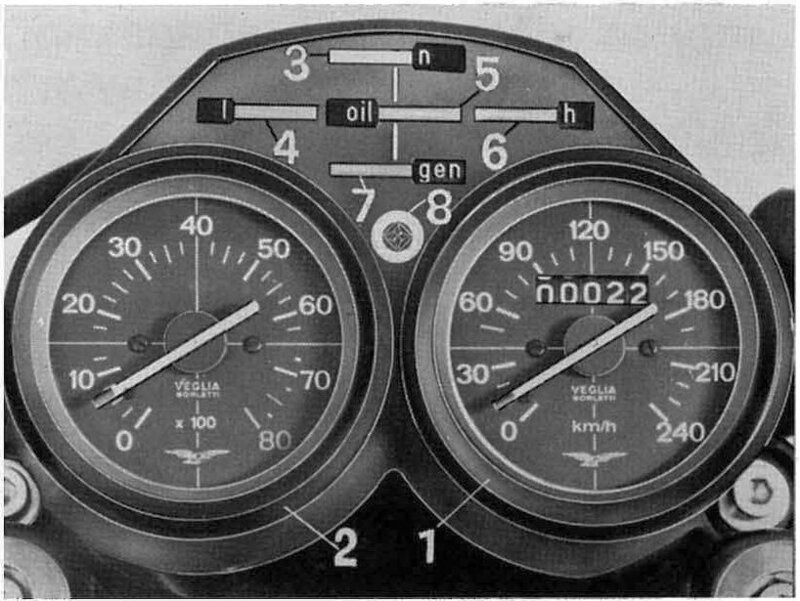 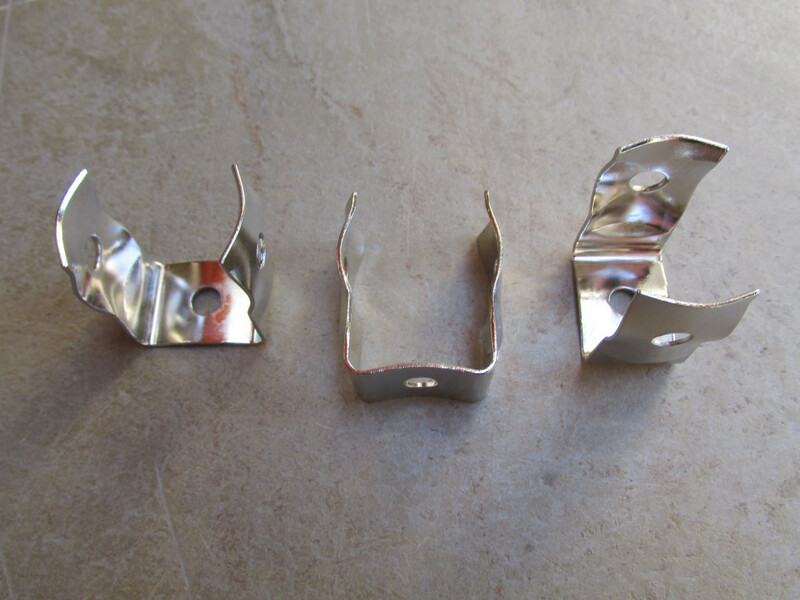 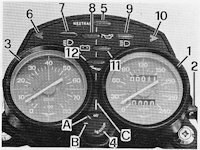 NOTE: This is for the late dash with two 80 mm gauges and left and right turn signal indicator lights. 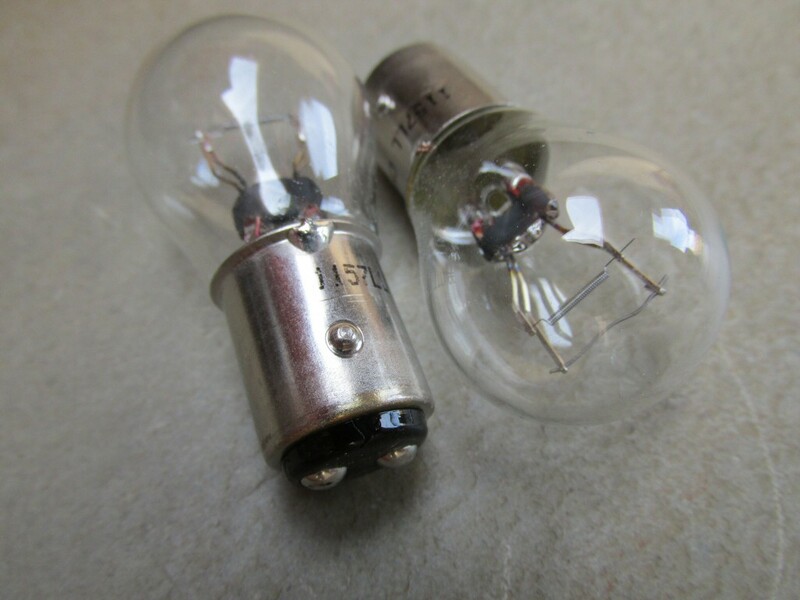 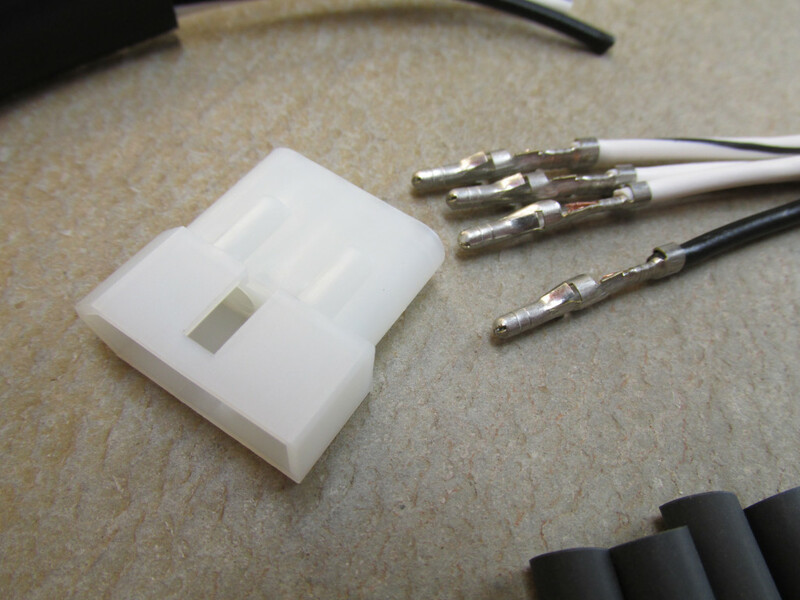 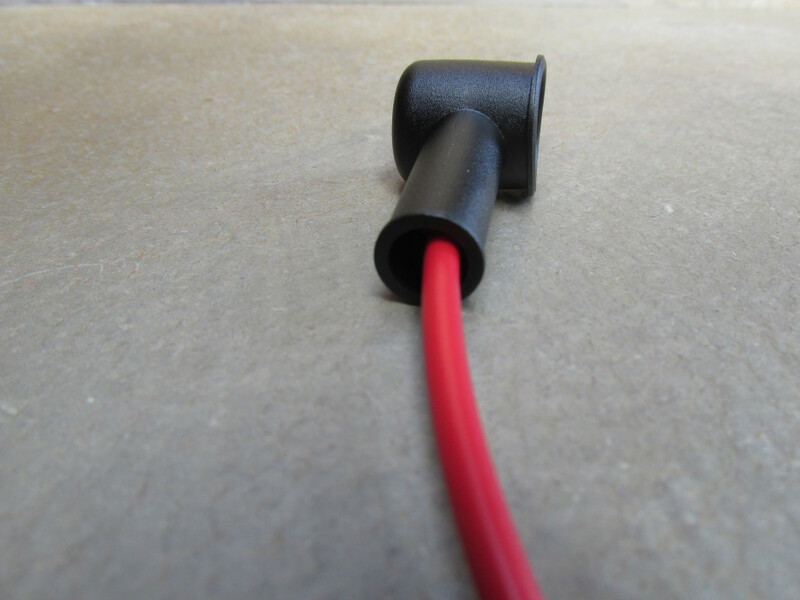 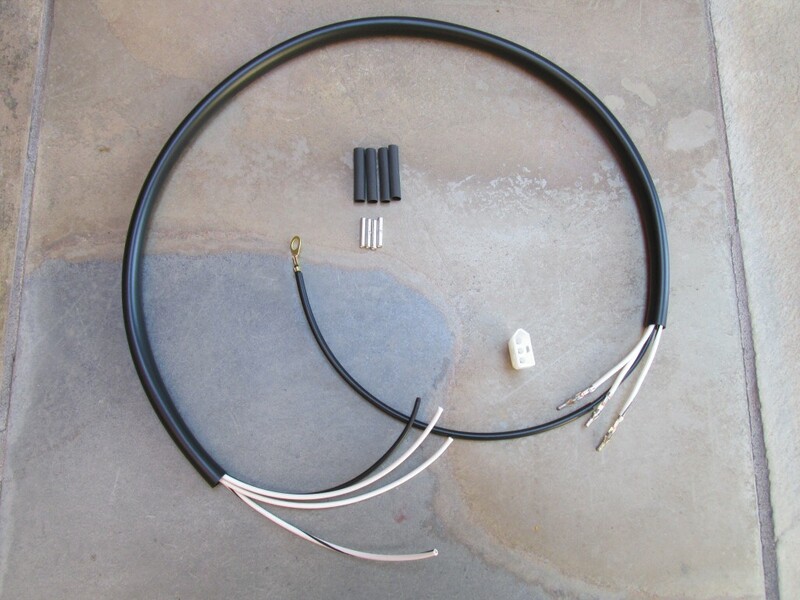 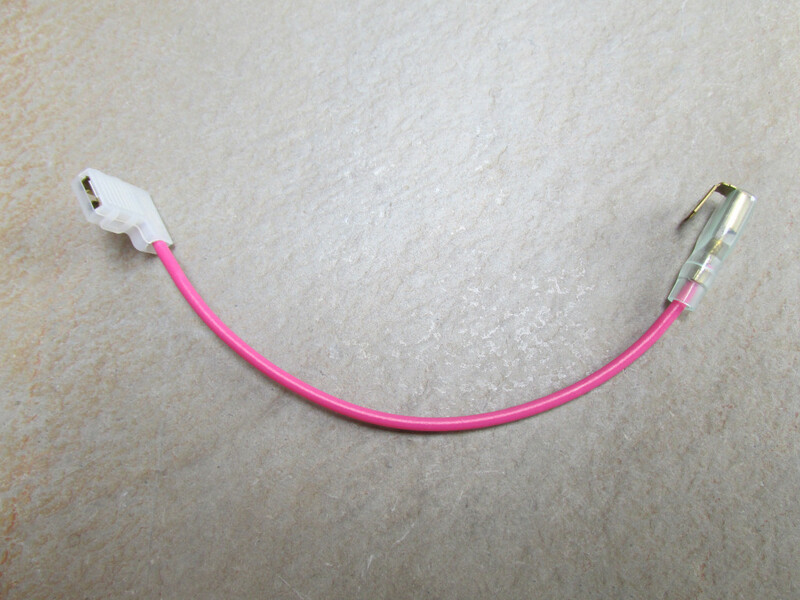 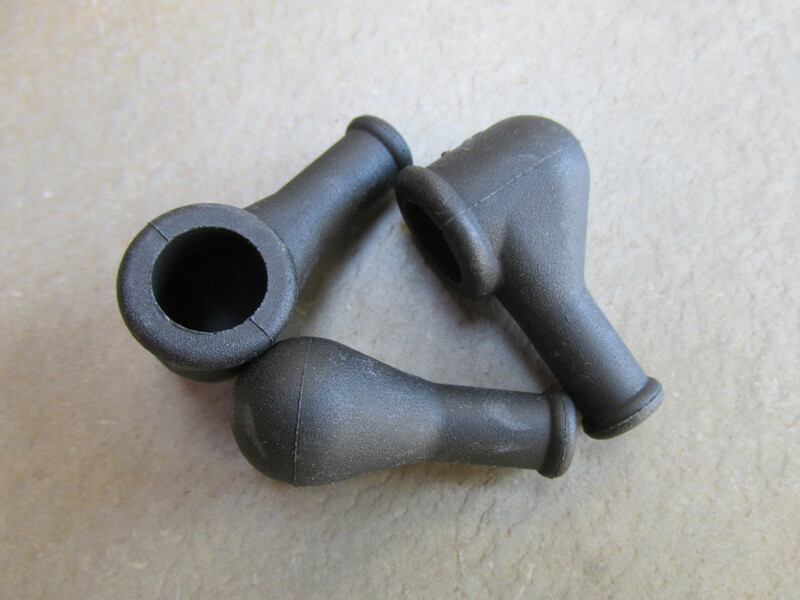 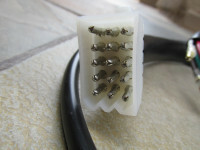 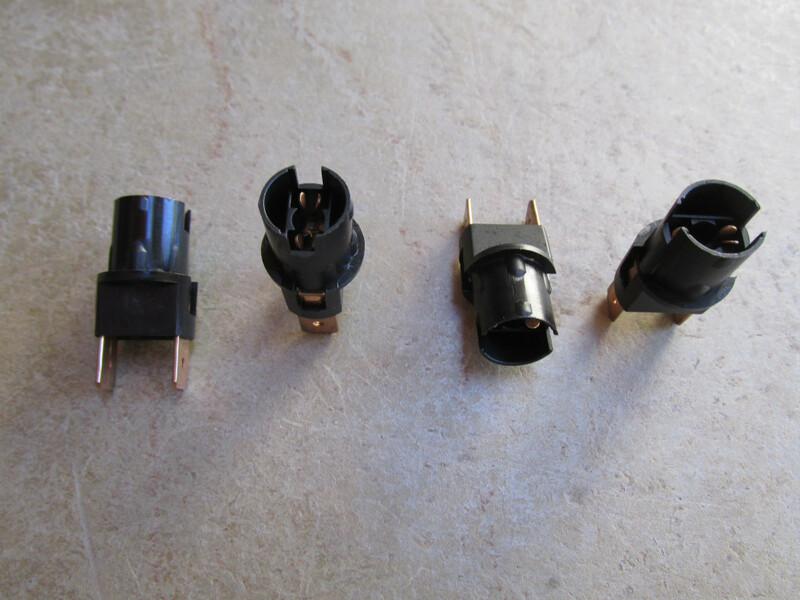 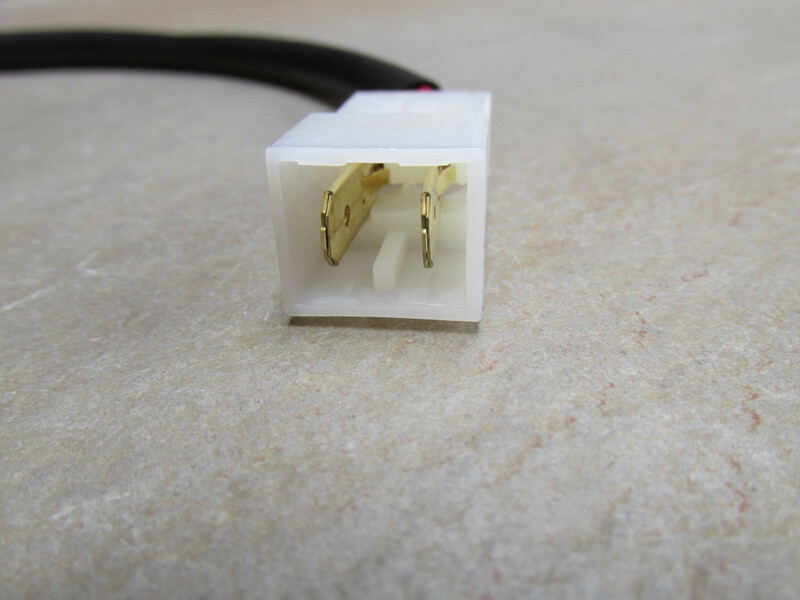 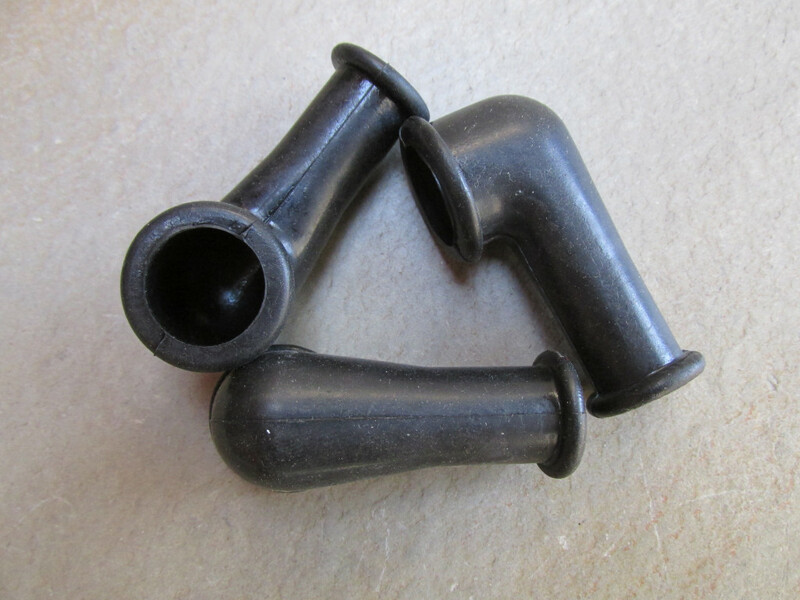 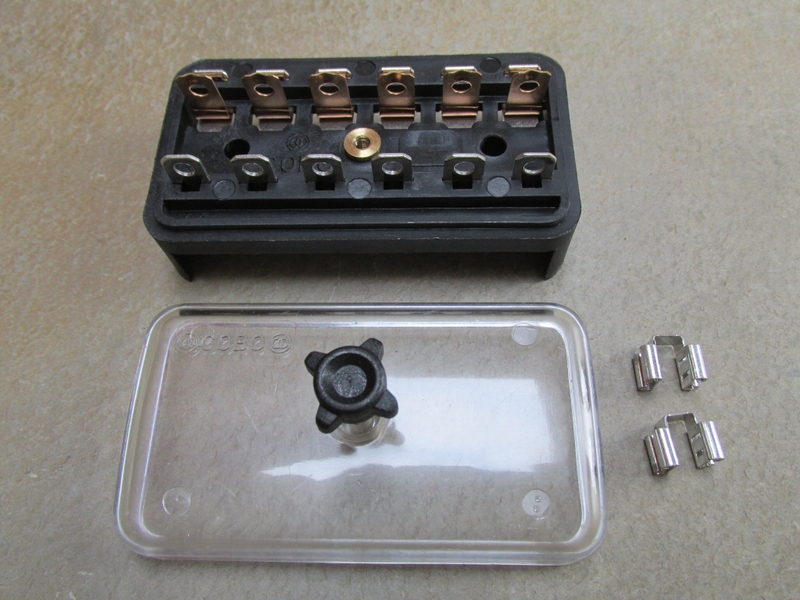 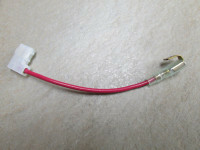 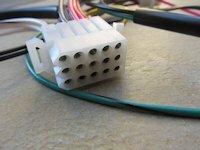 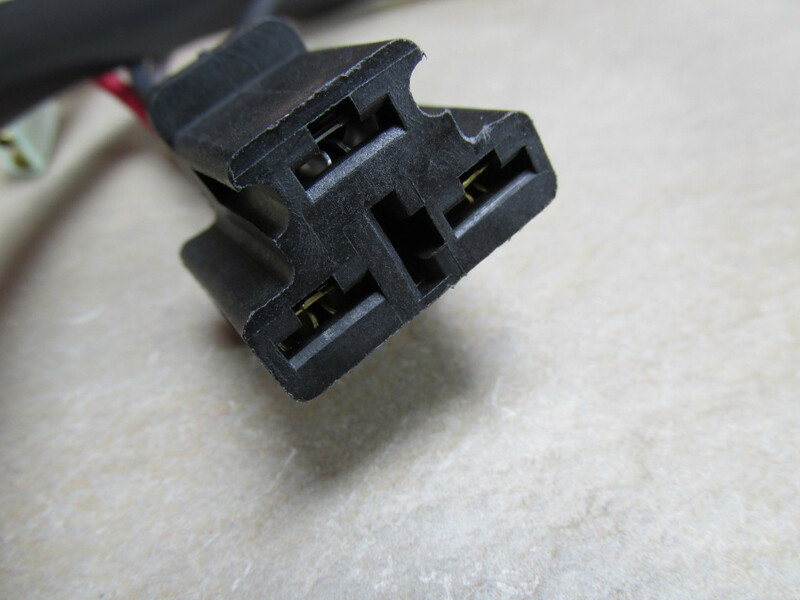 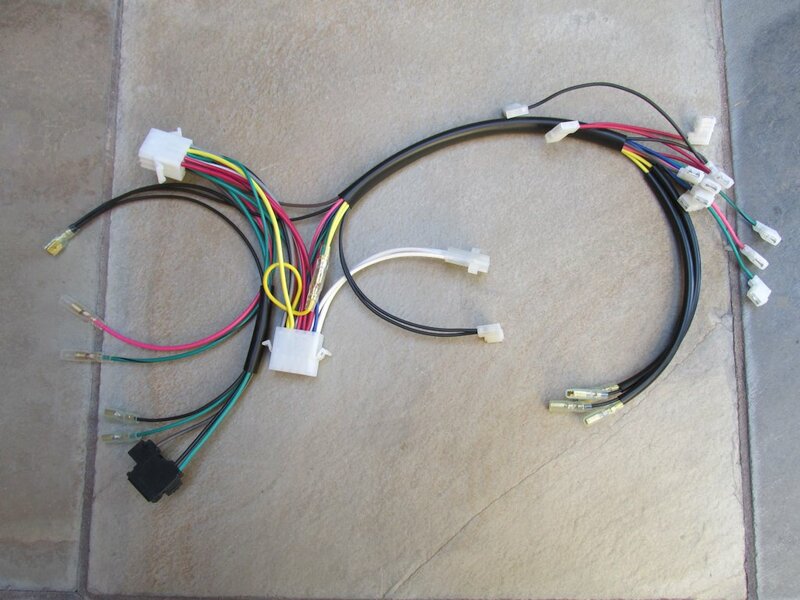 18740462: Headlight interconnect - USA version. 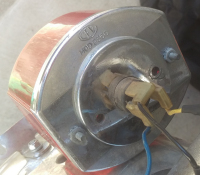 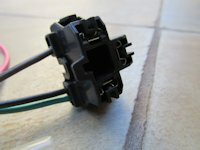 Headlight plug and city light connections. 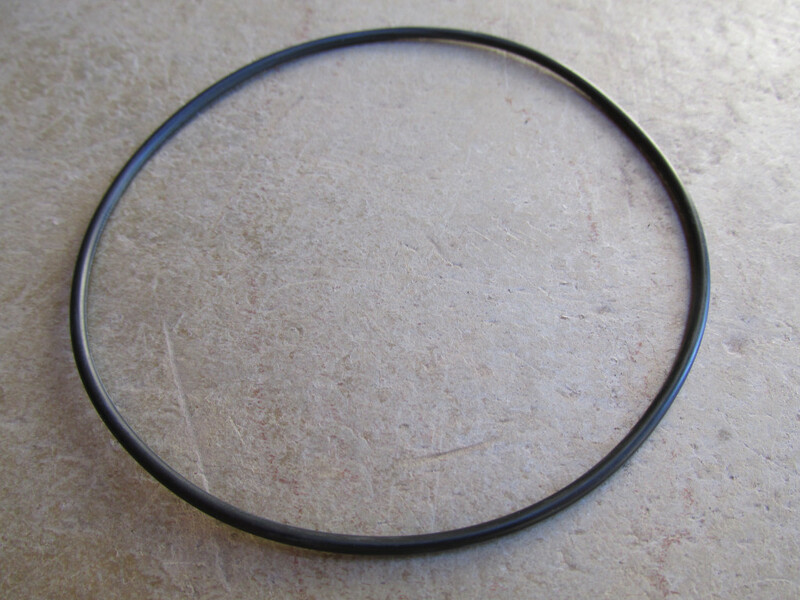 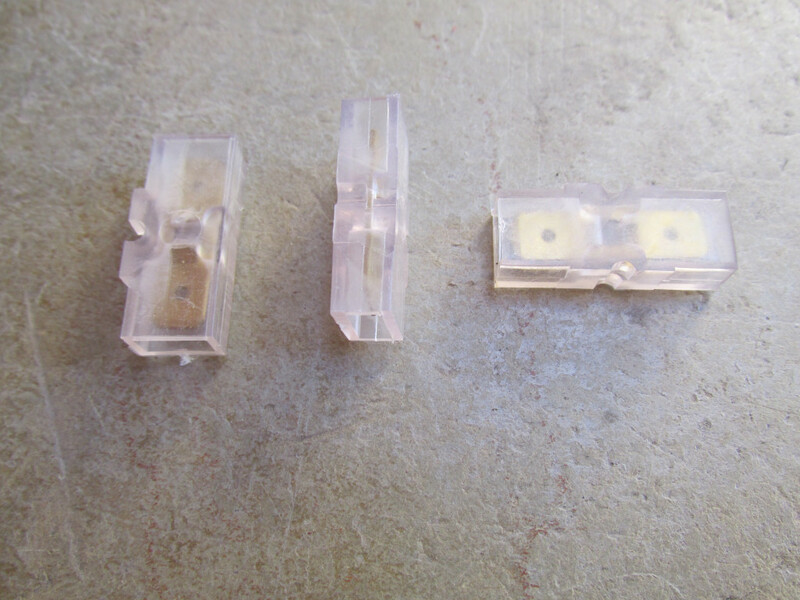 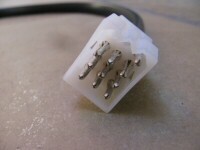 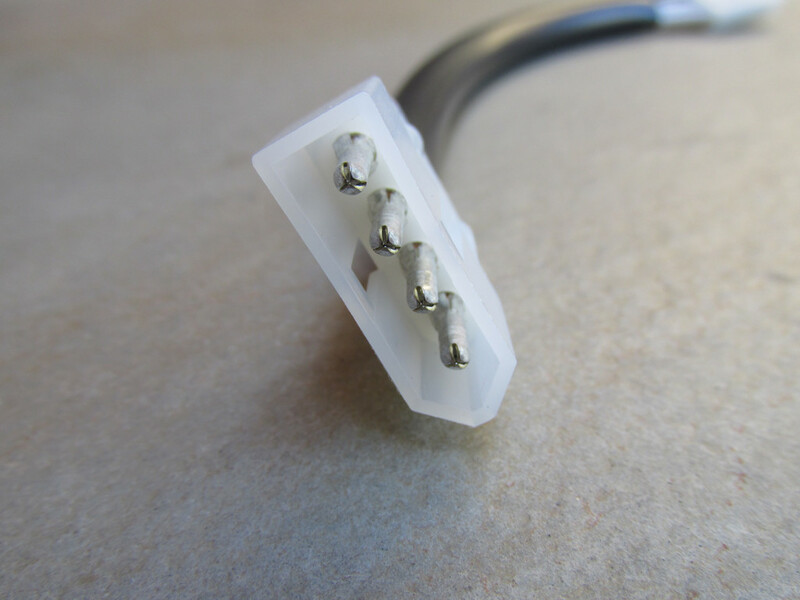 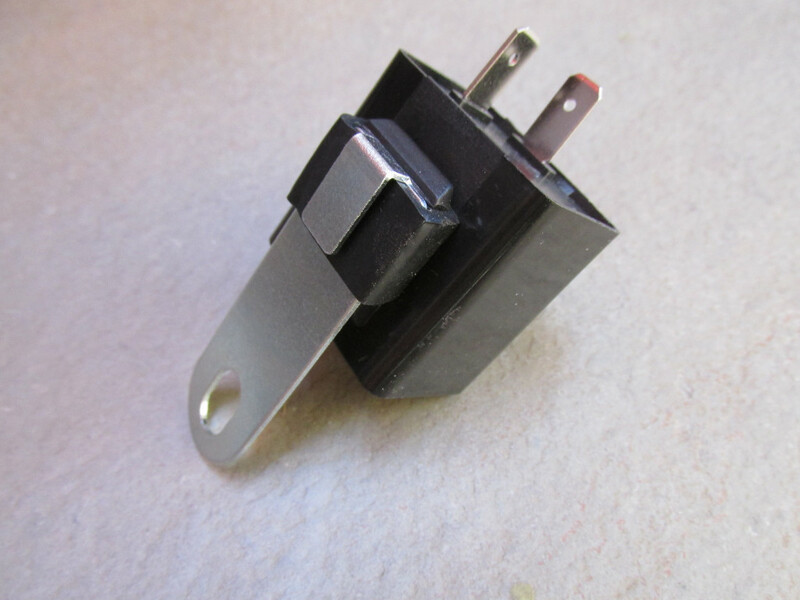 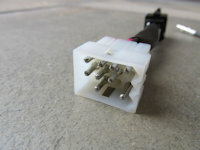 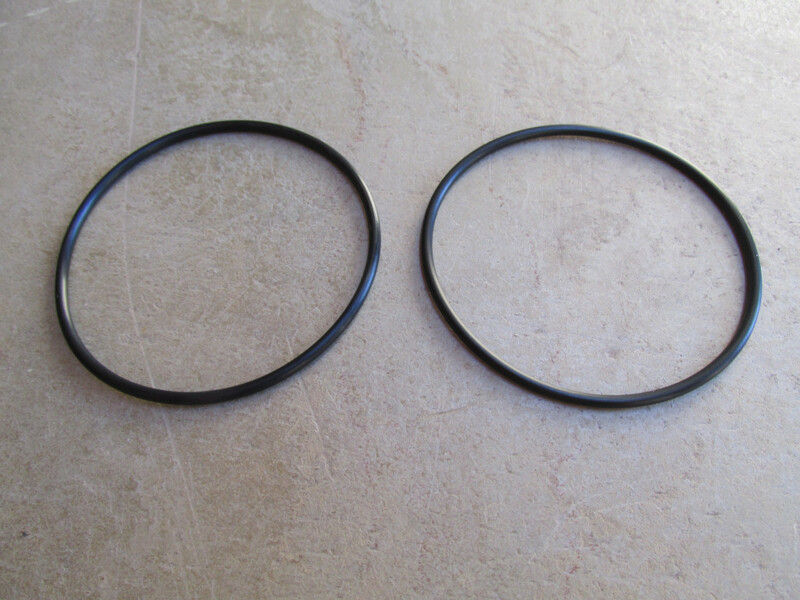 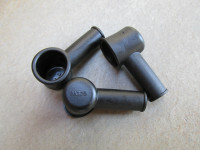 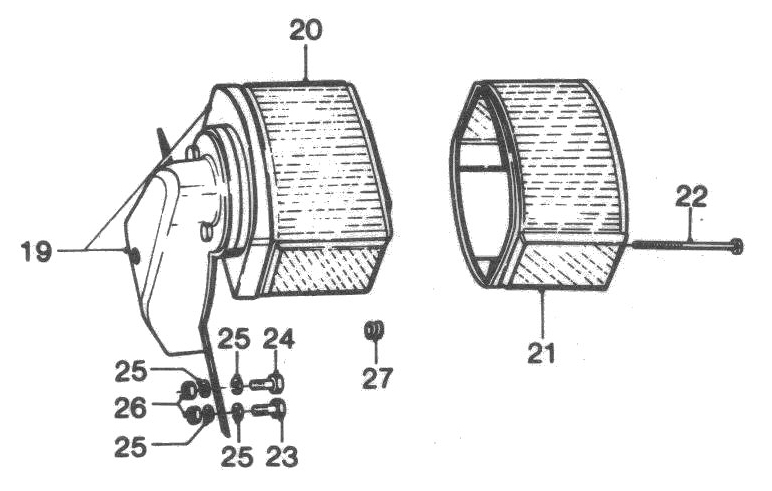 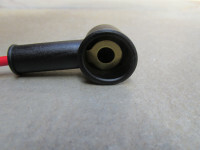 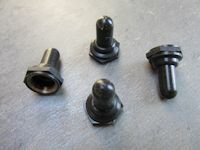 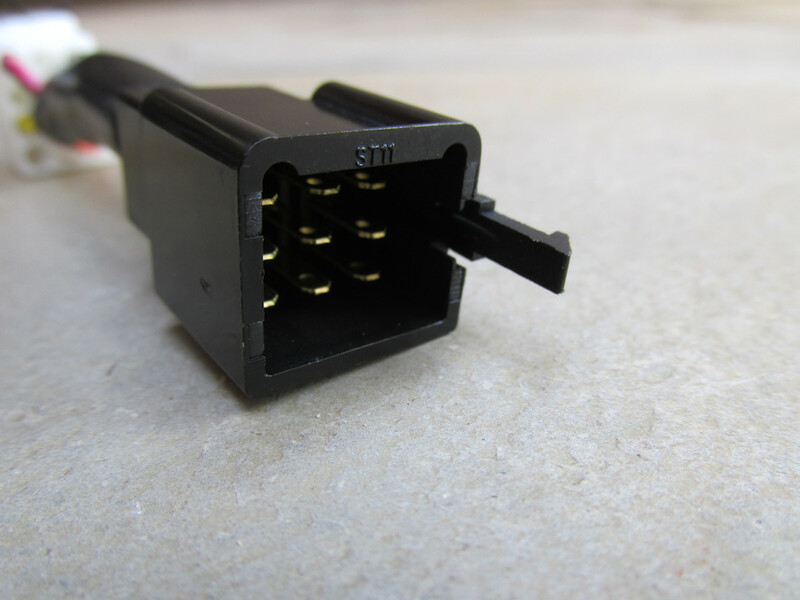 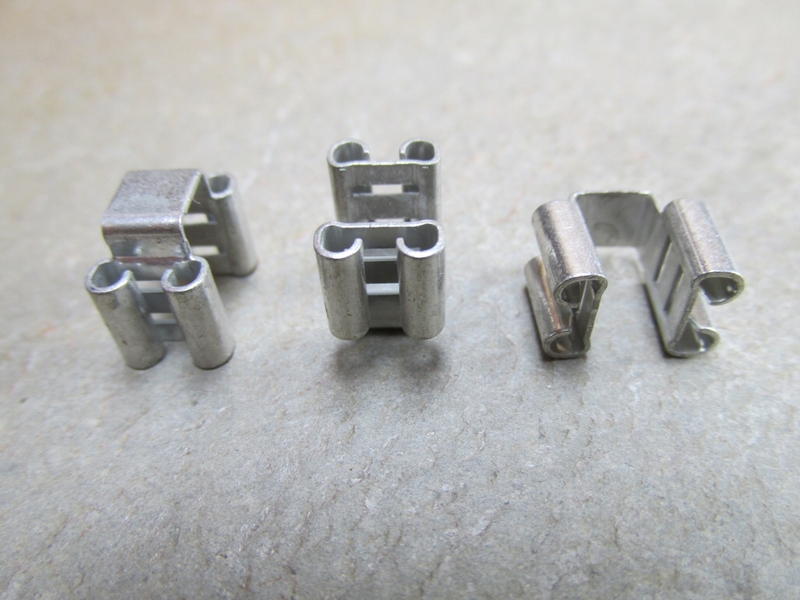 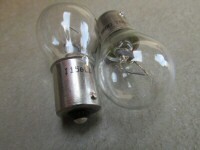 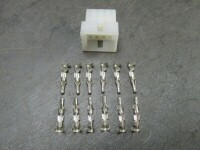 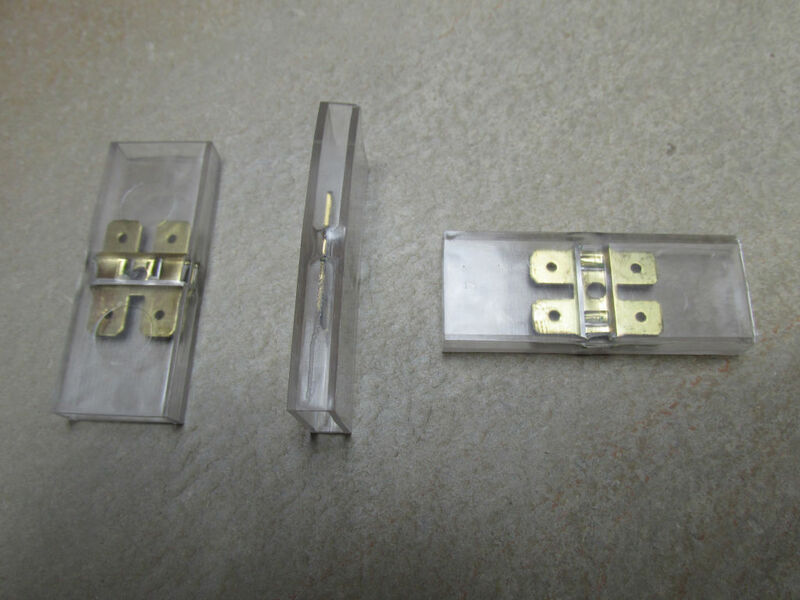 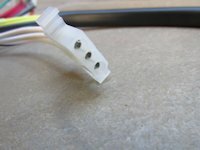 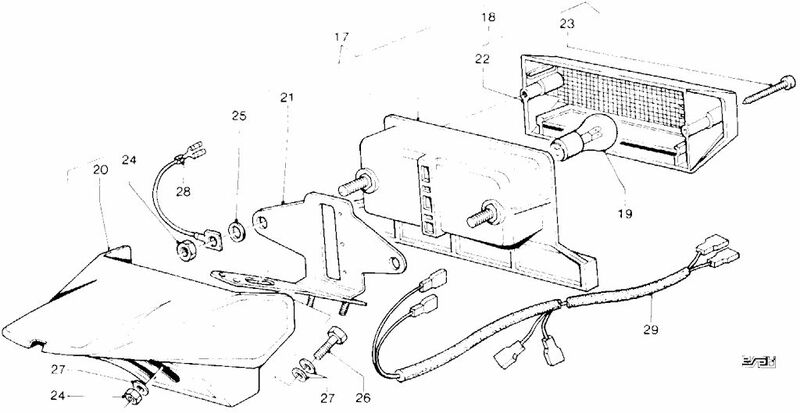 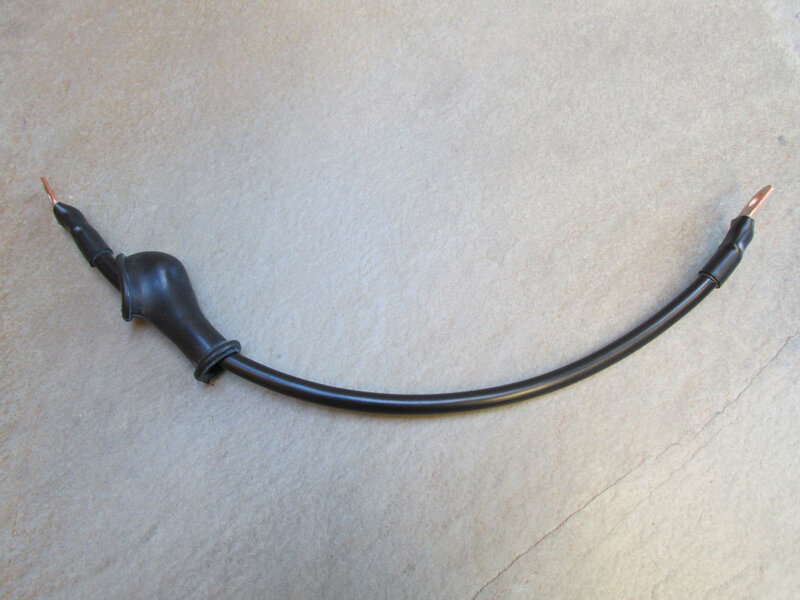 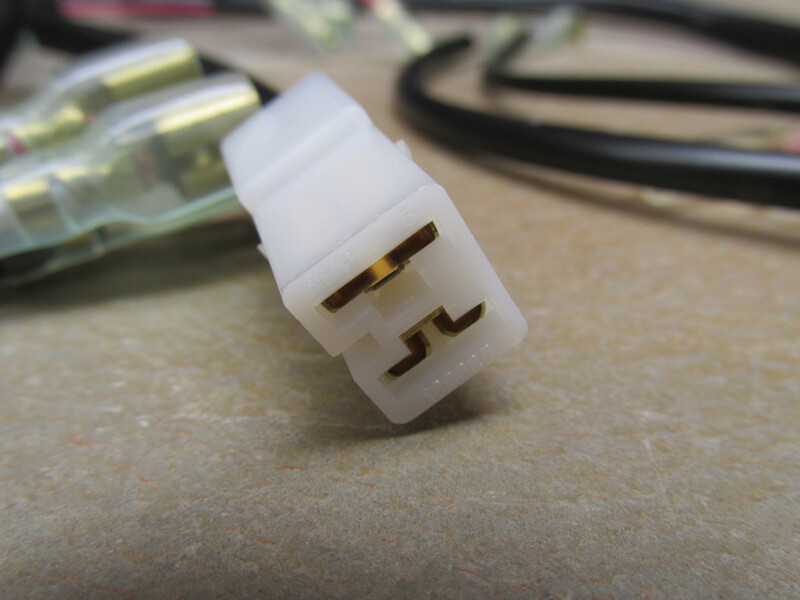 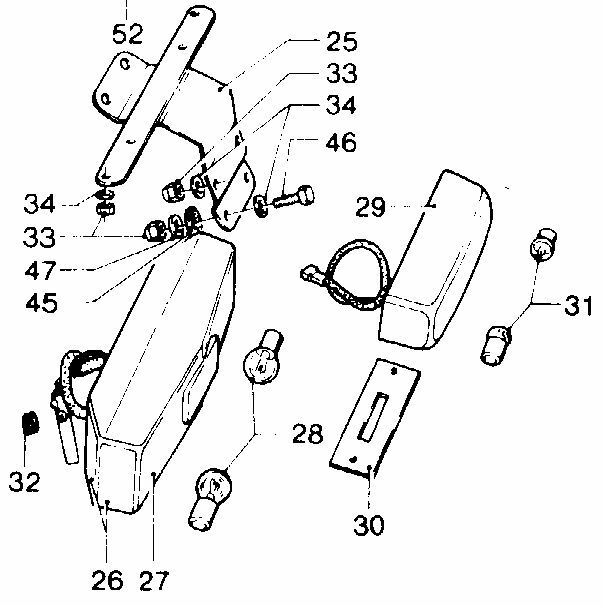 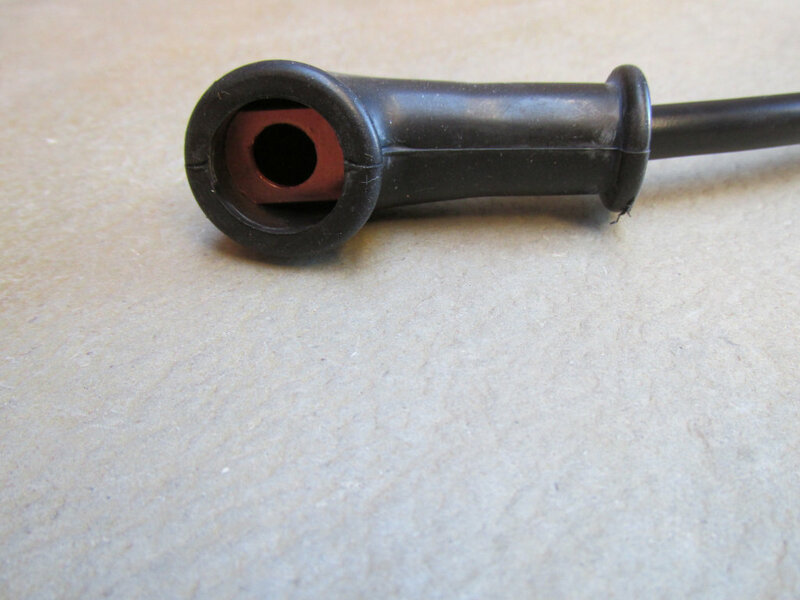 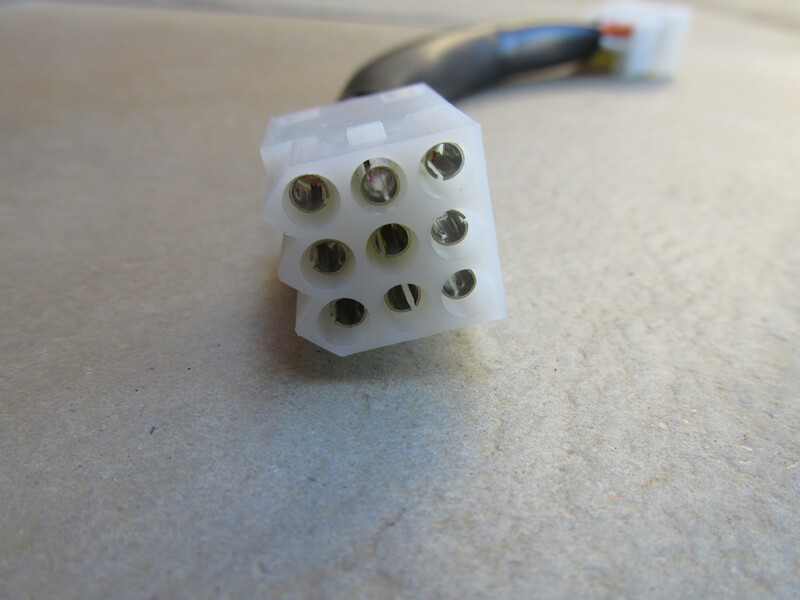 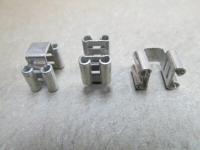 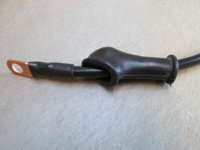 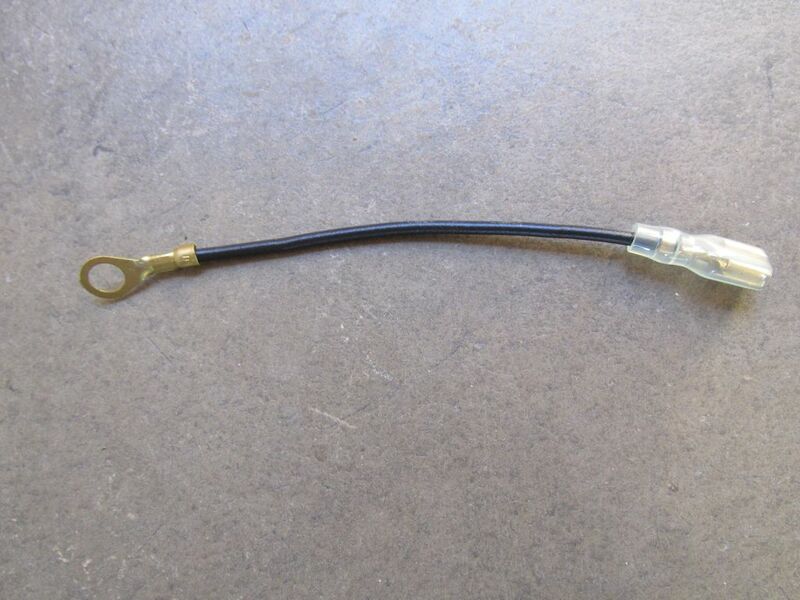 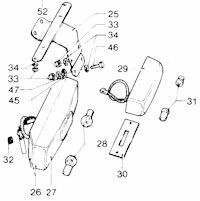 18740452: Headlight interconnect - Non-USA version. 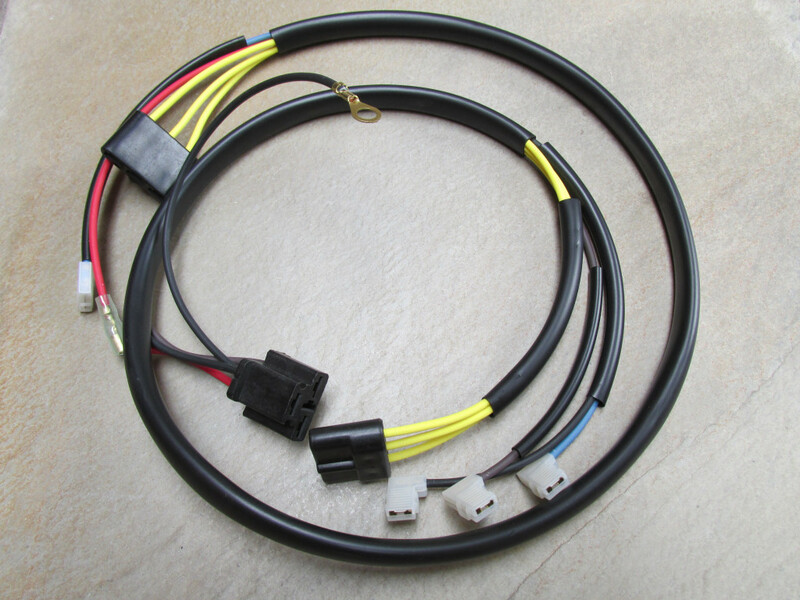 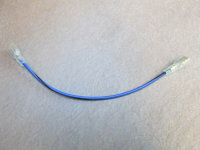 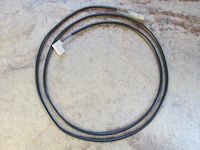 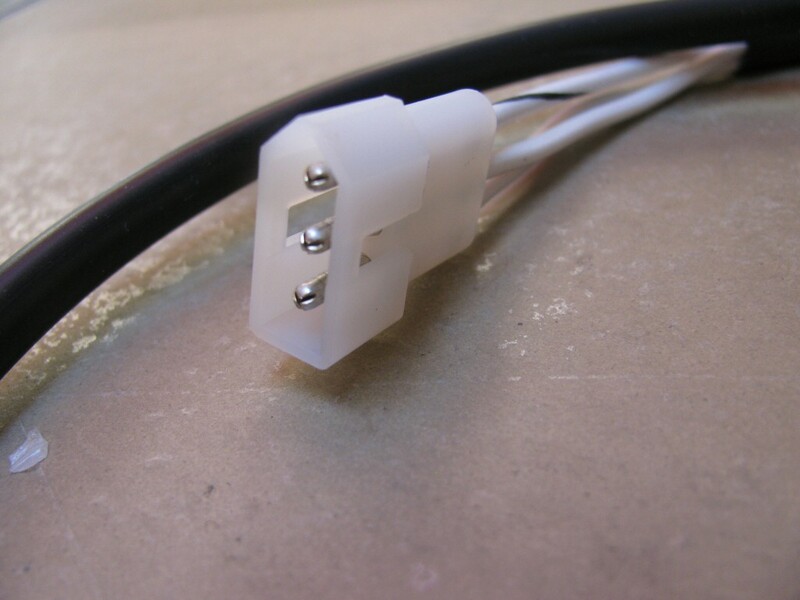 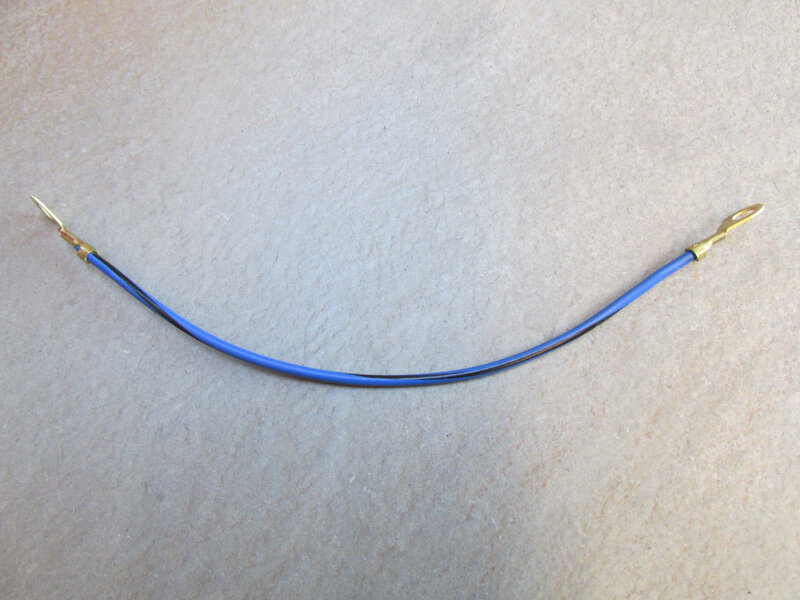 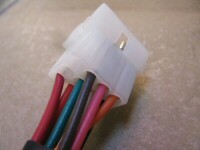 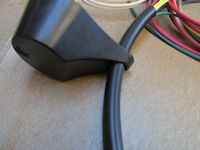 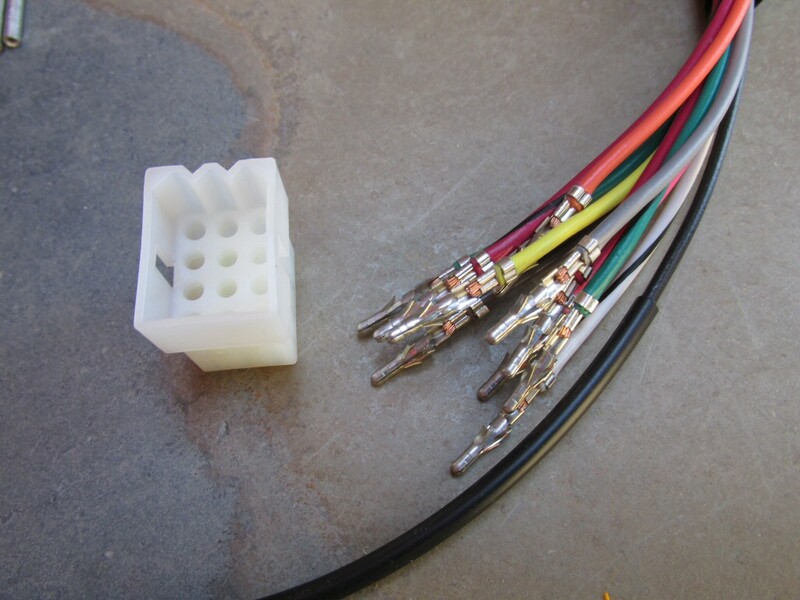 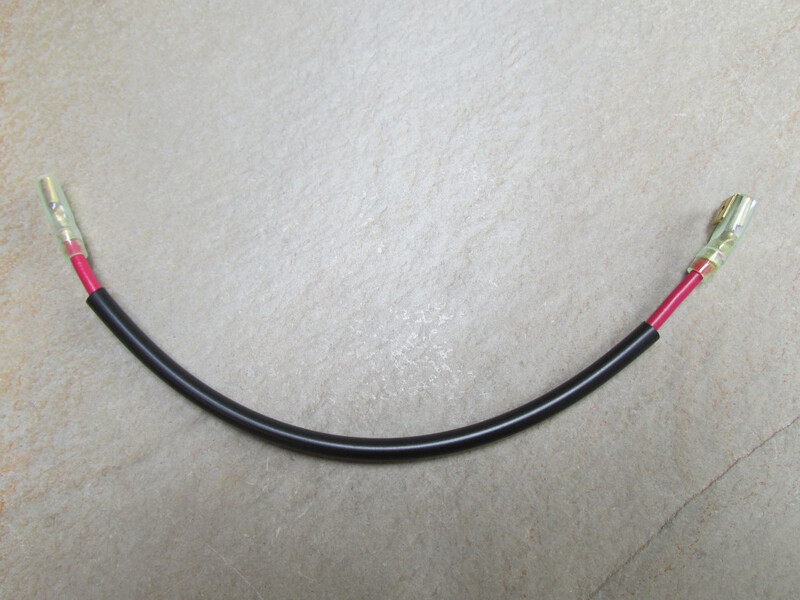 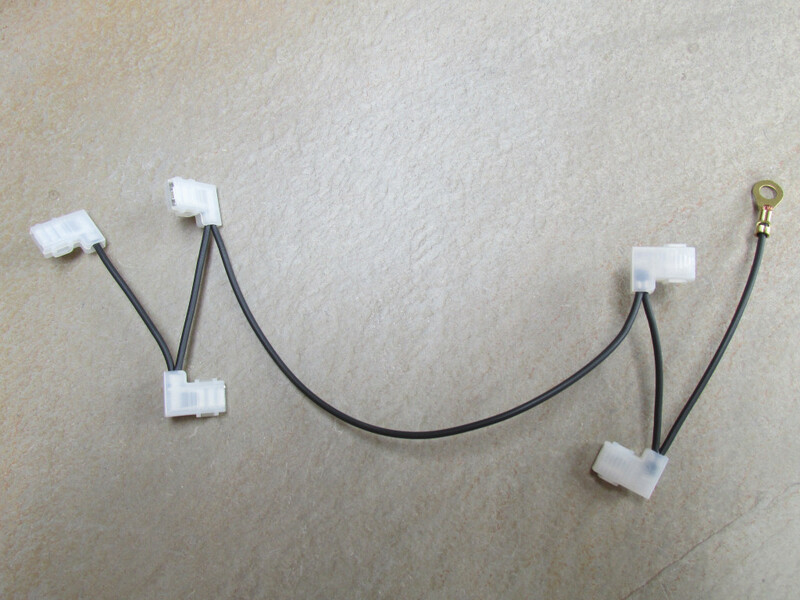 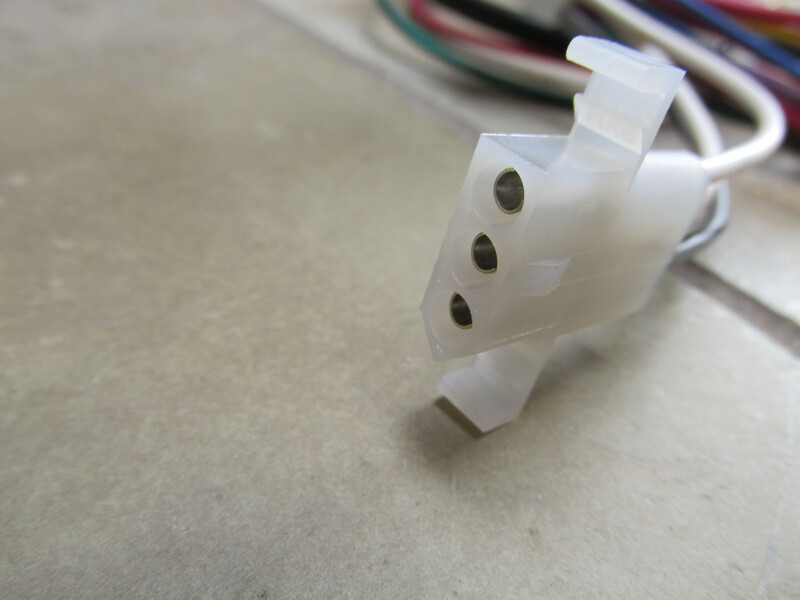 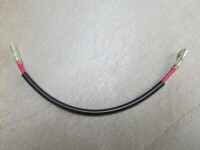 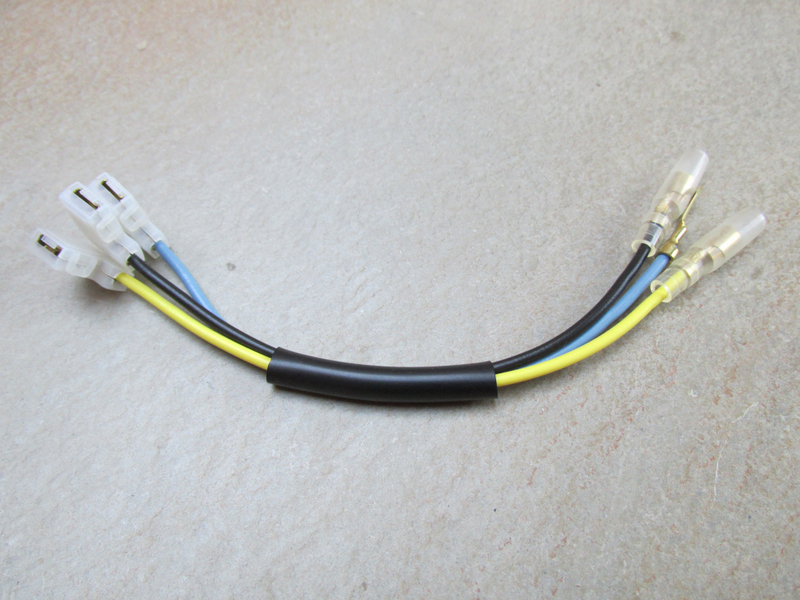 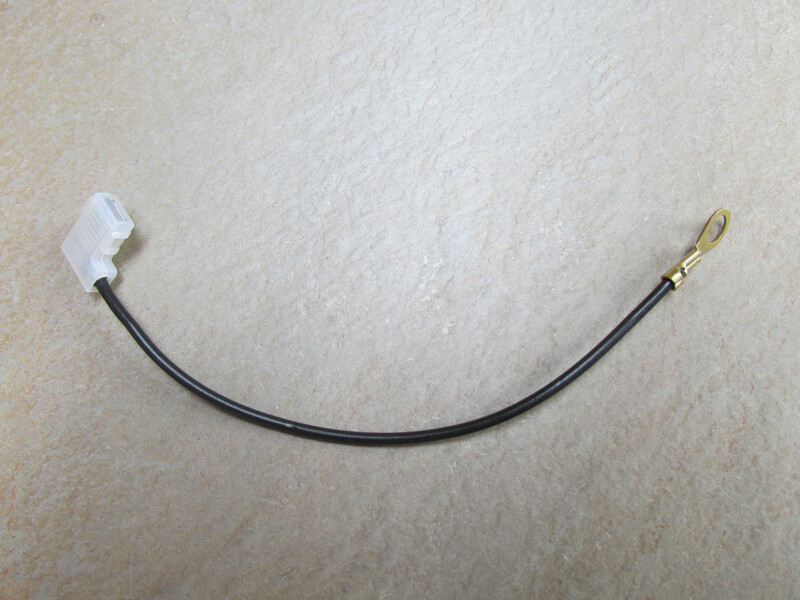 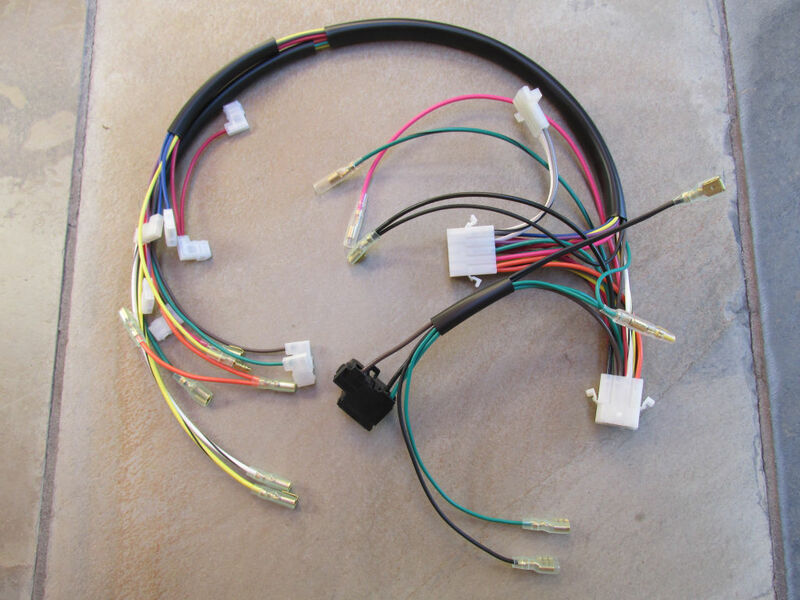 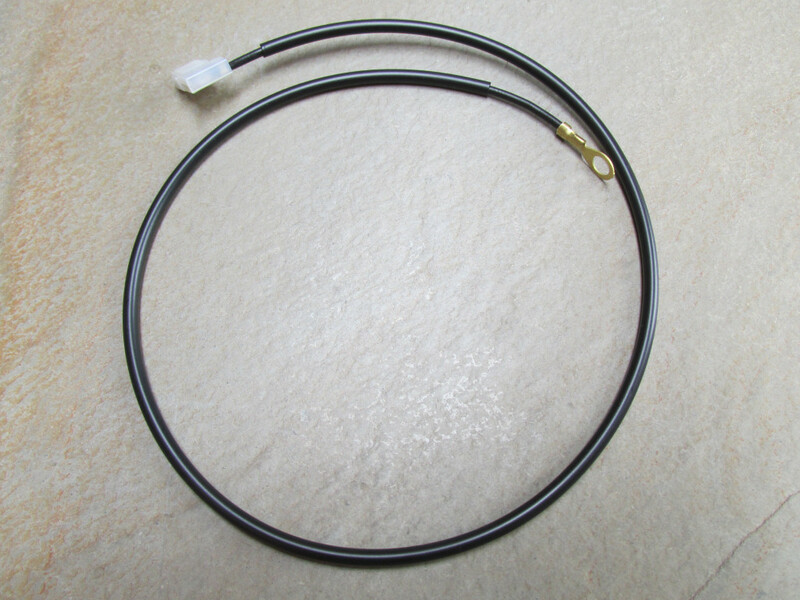 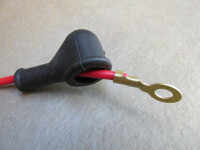 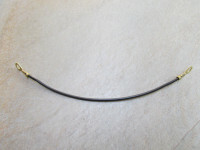 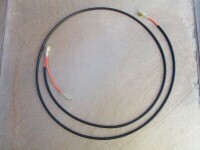 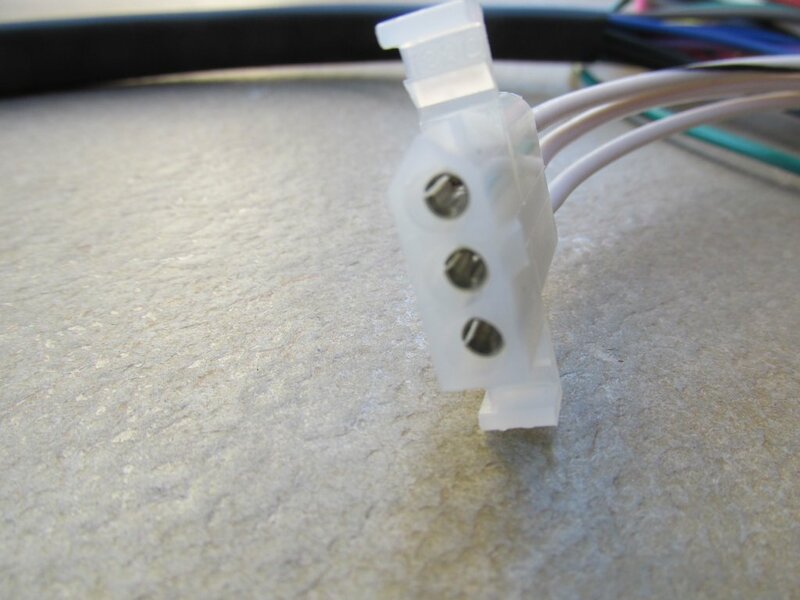 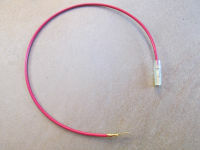 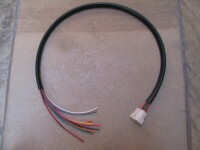 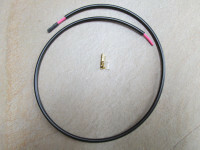 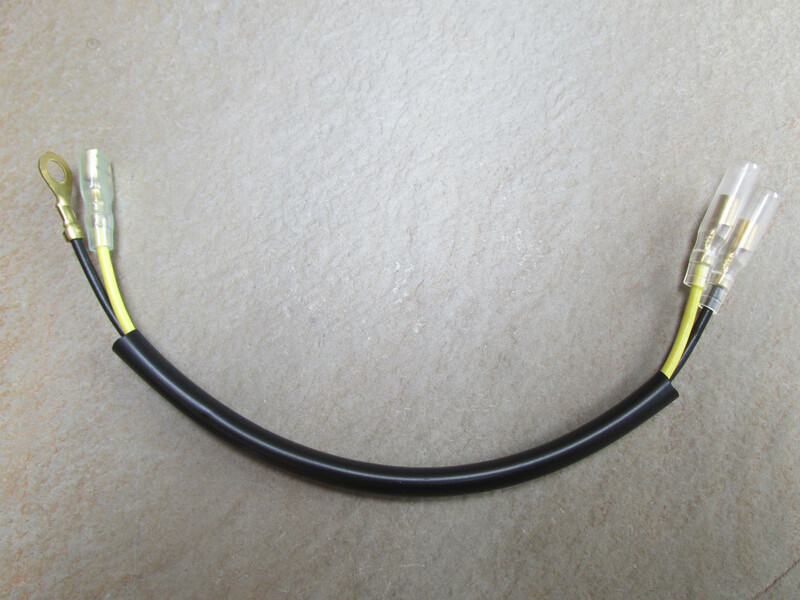 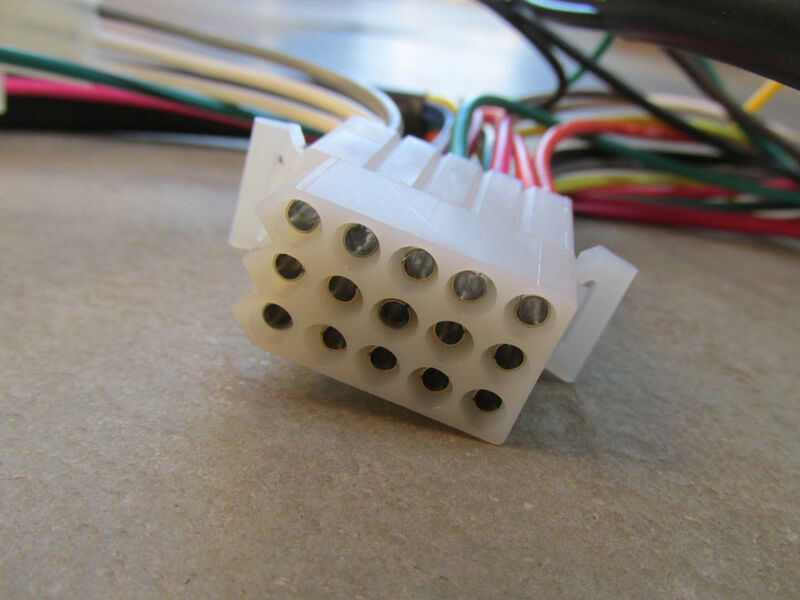 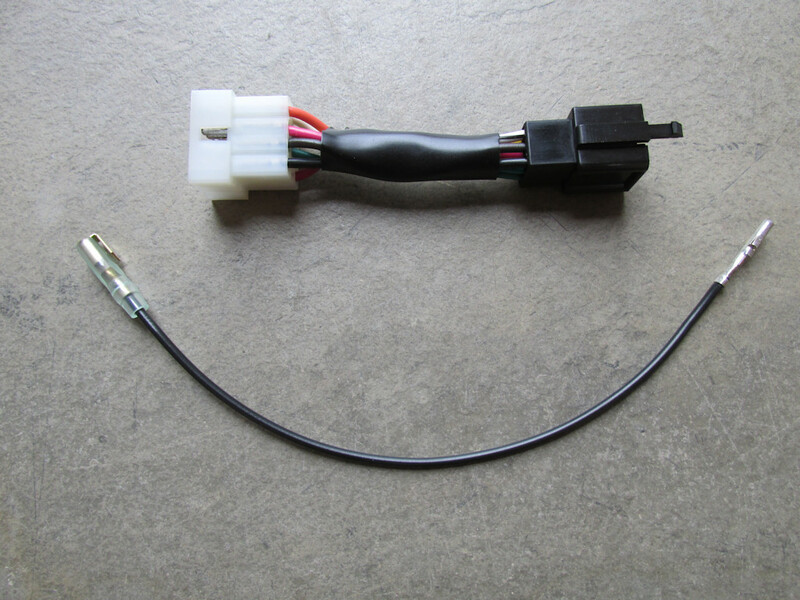 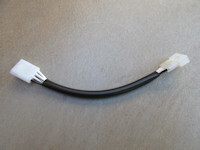 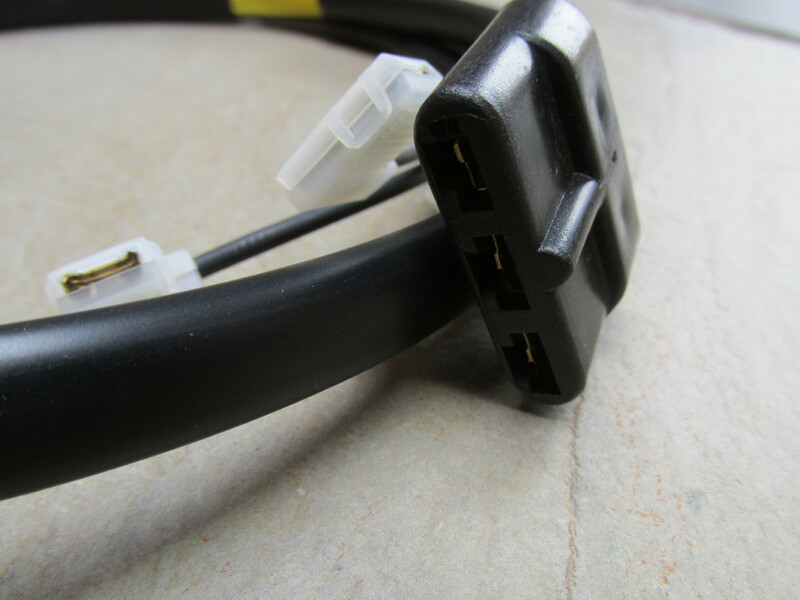 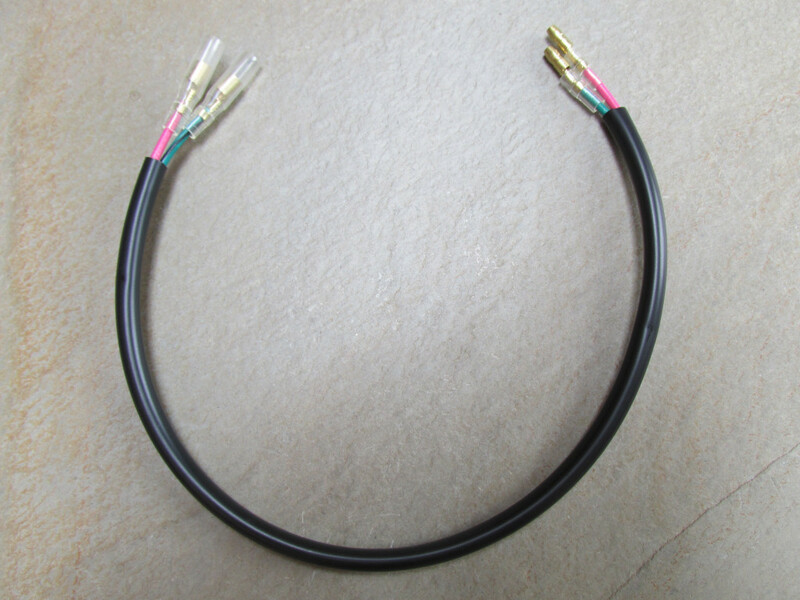 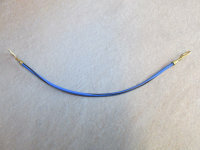 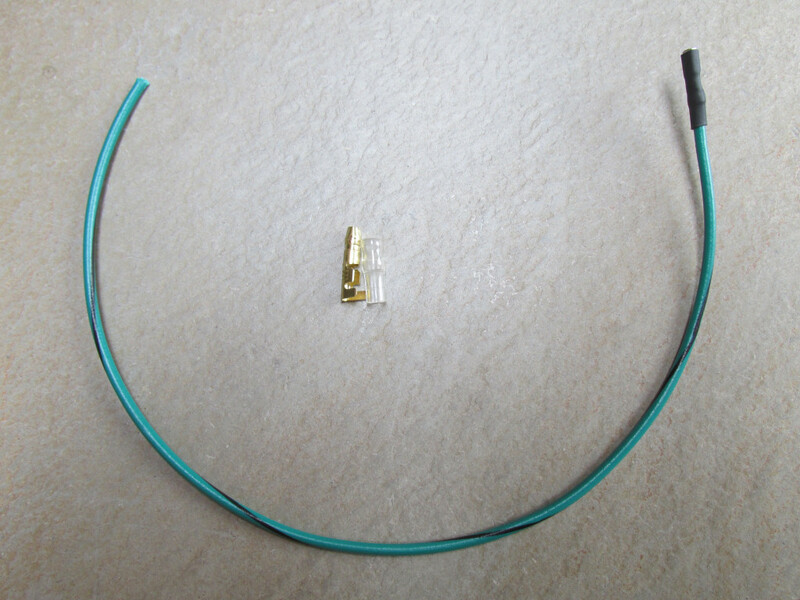 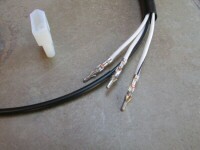 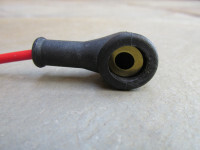 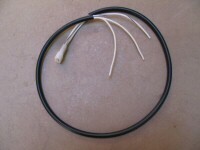 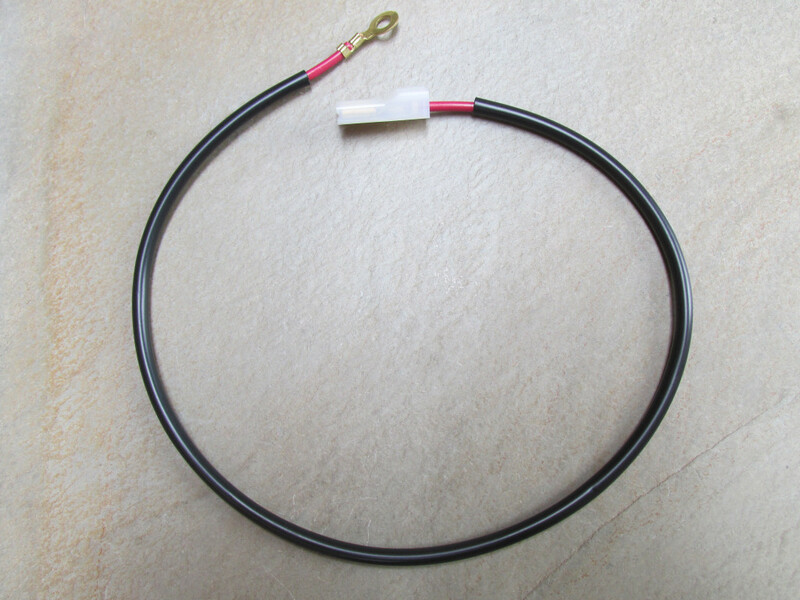 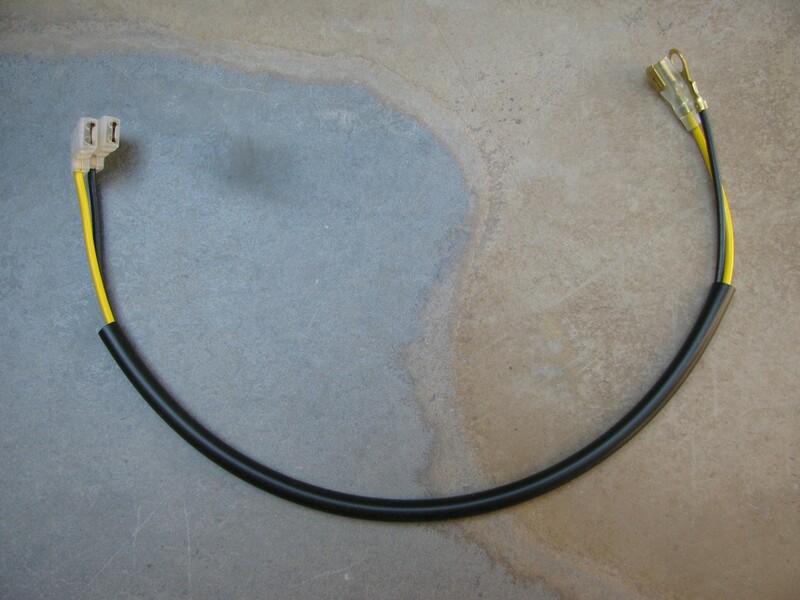 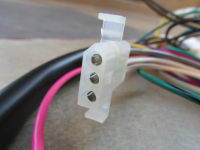 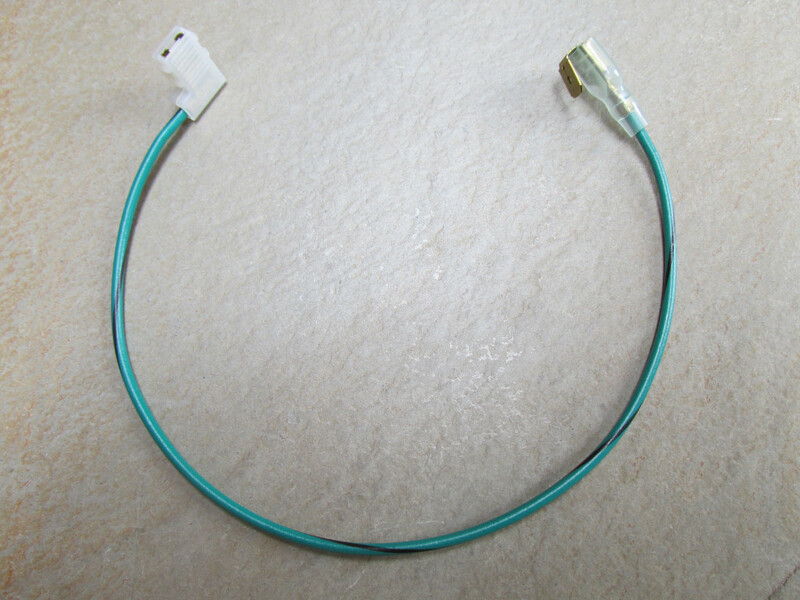 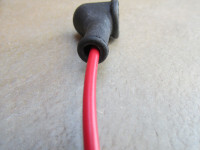 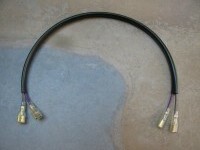 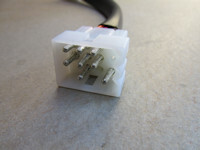 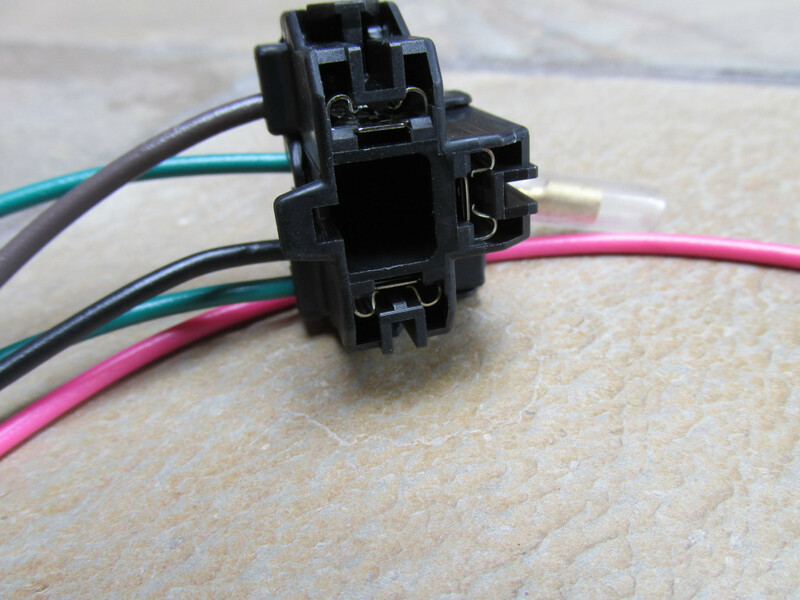 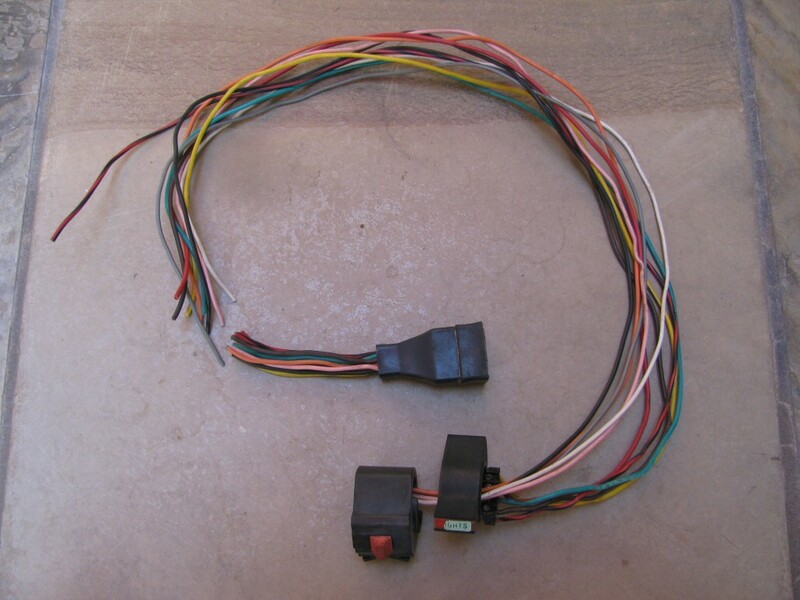 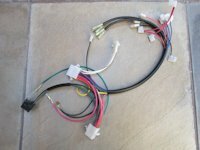 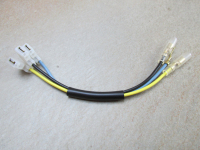 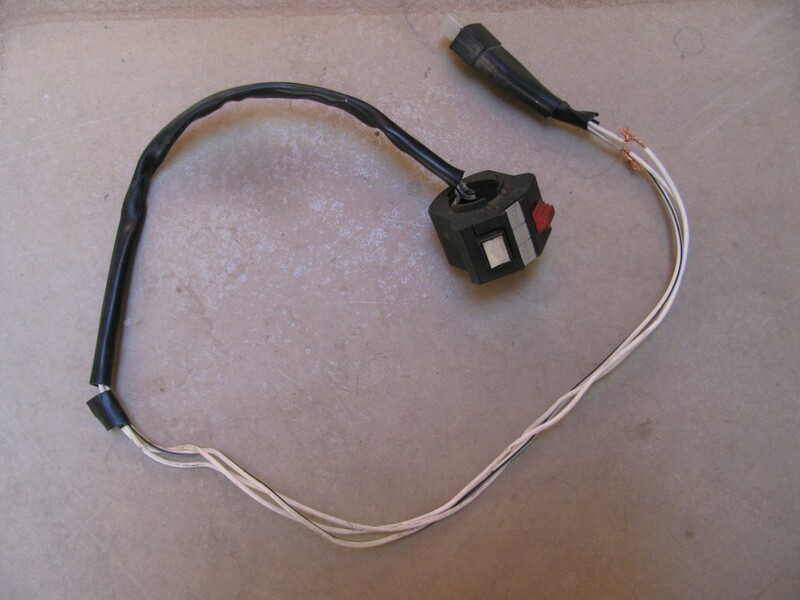 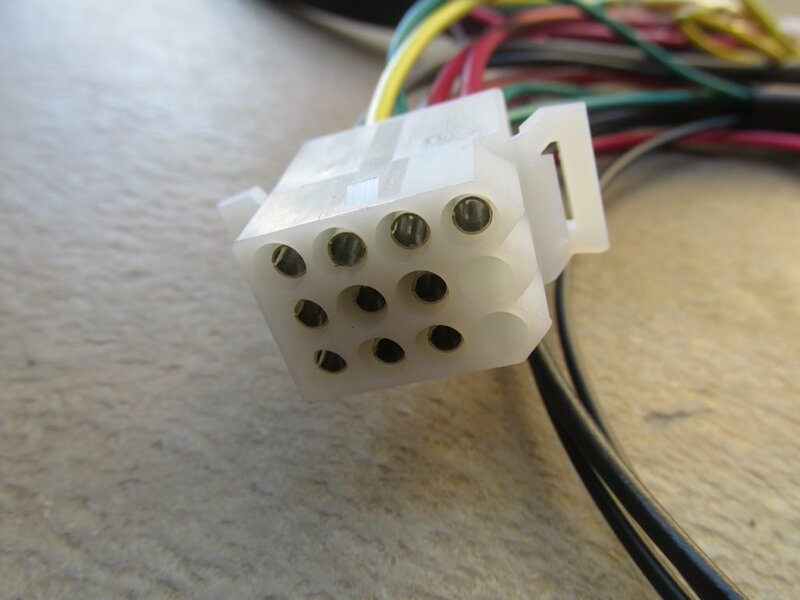 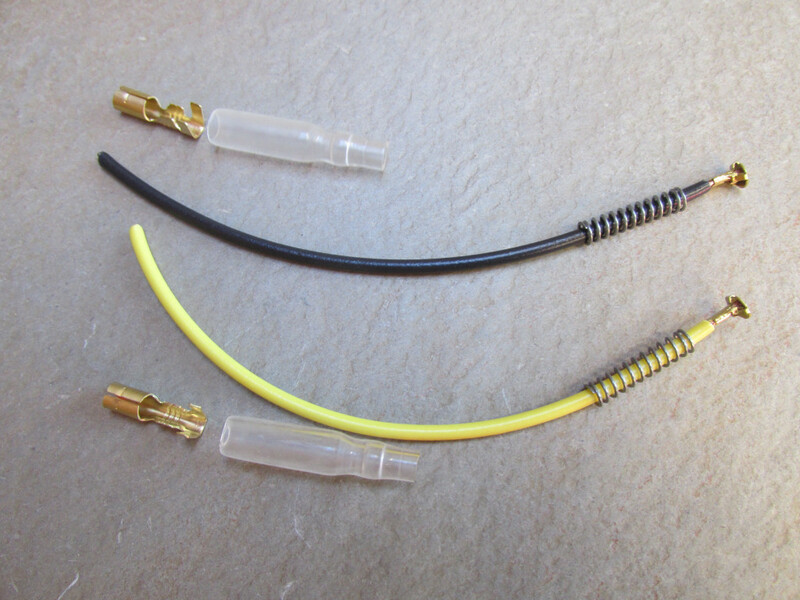 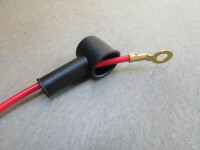 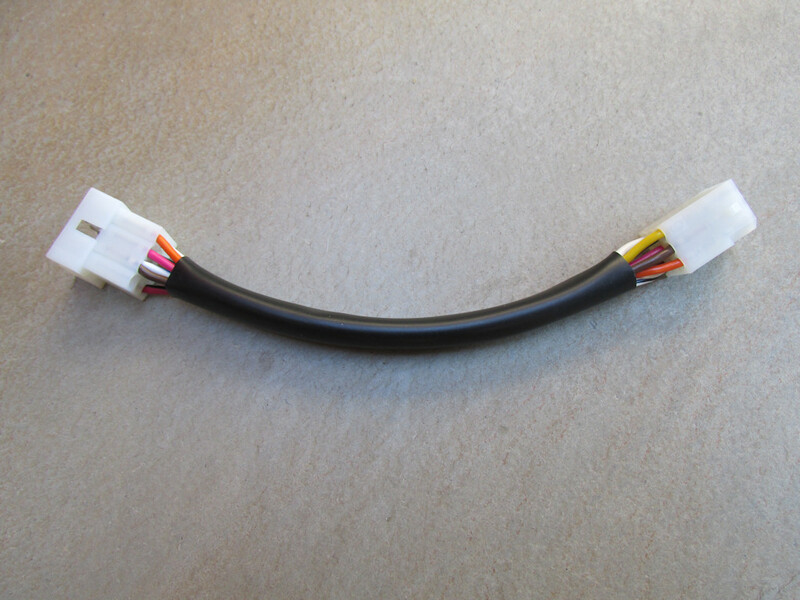 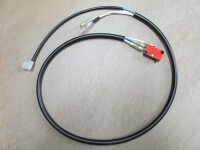 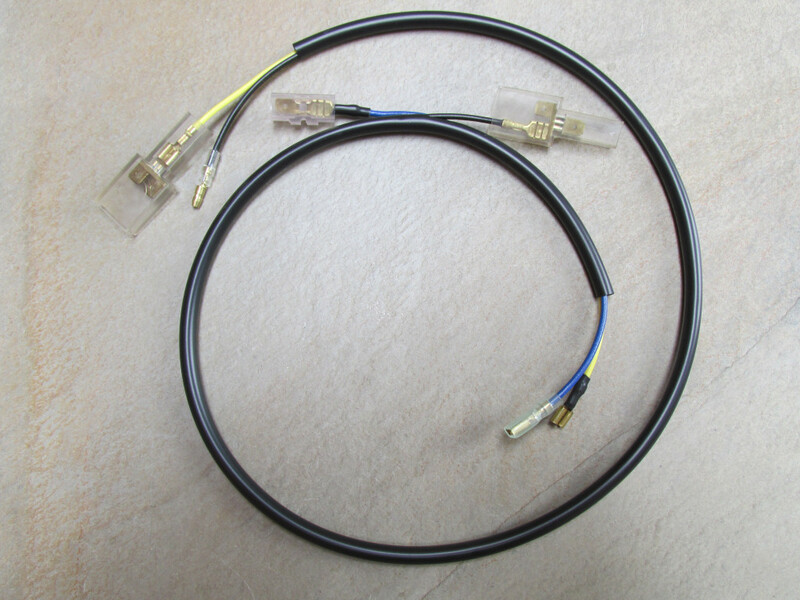 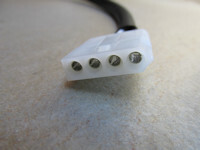 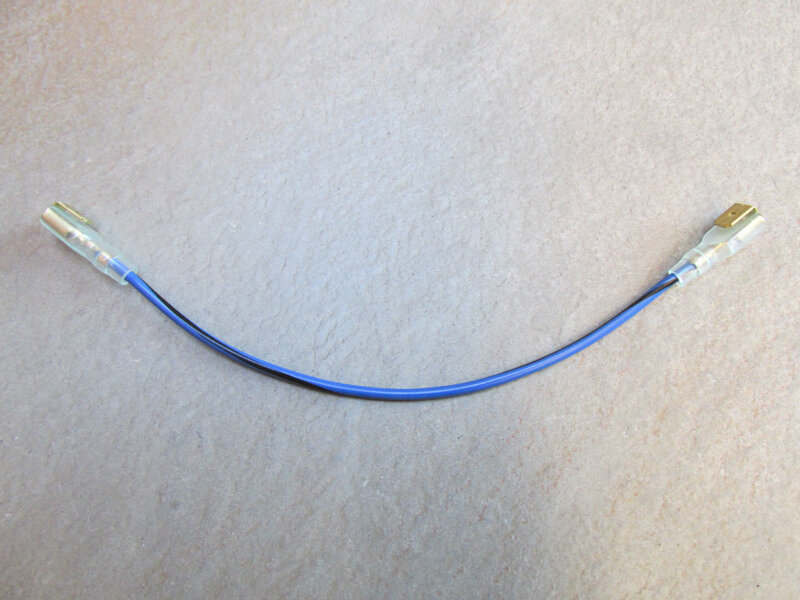 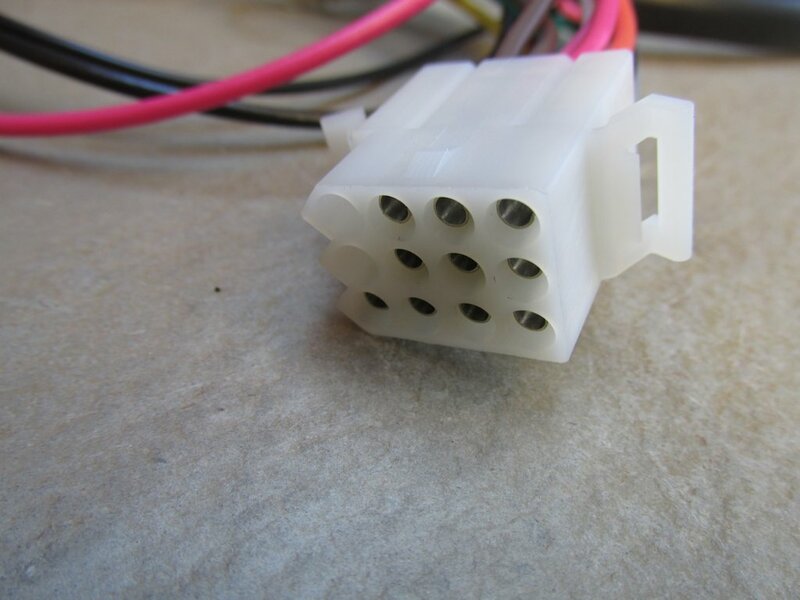 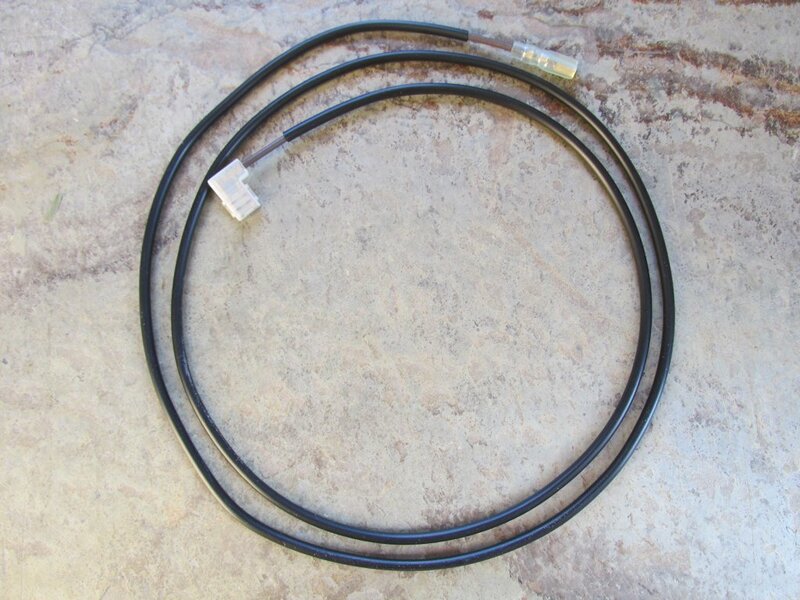 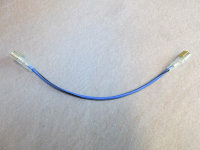 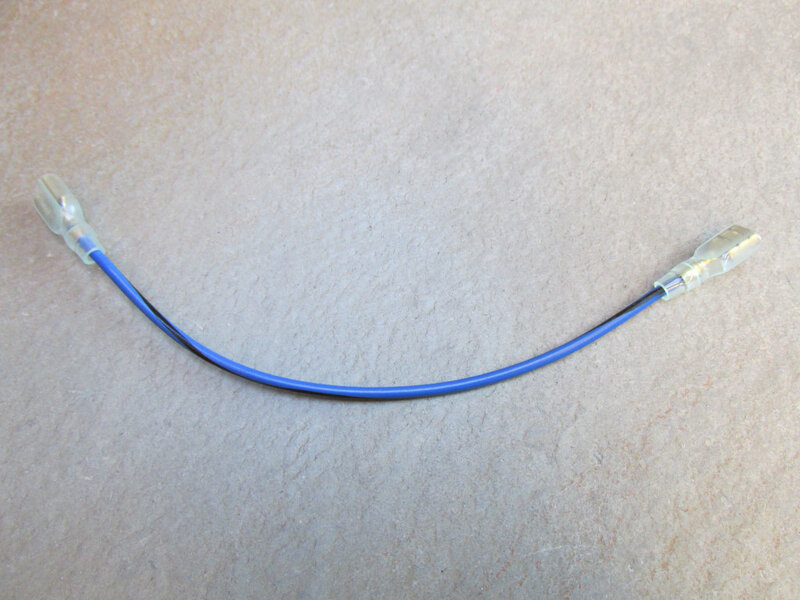 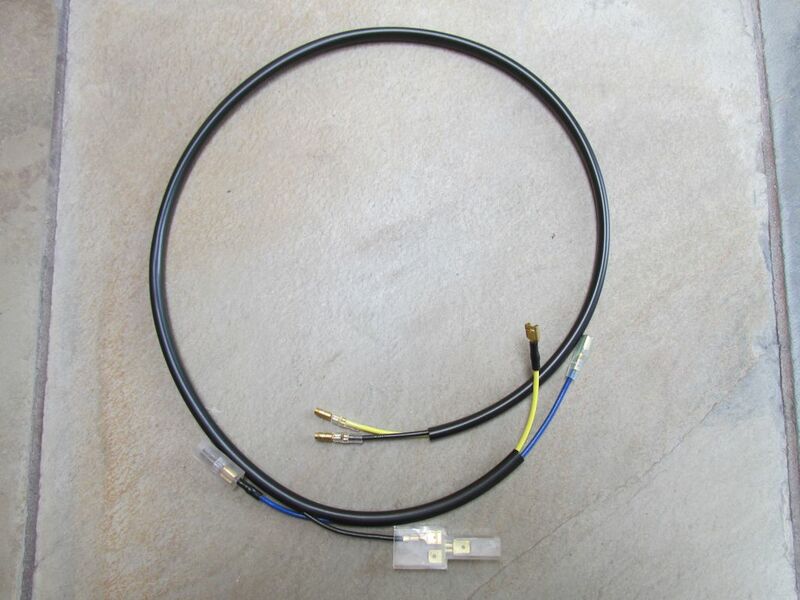 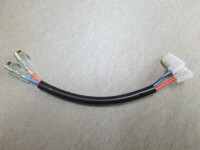 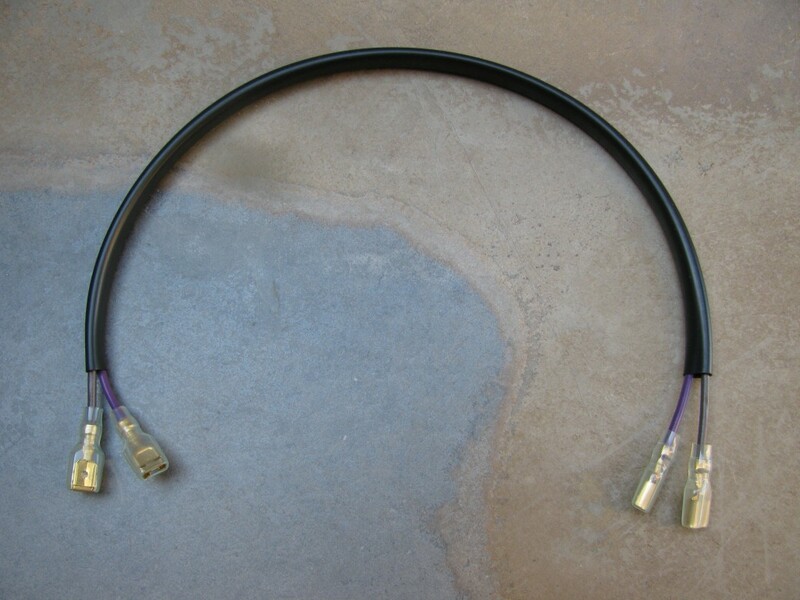 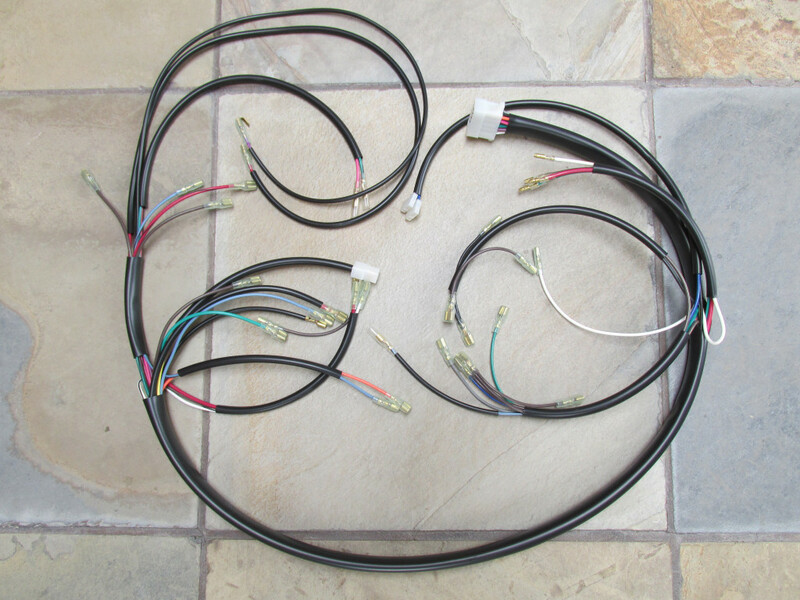 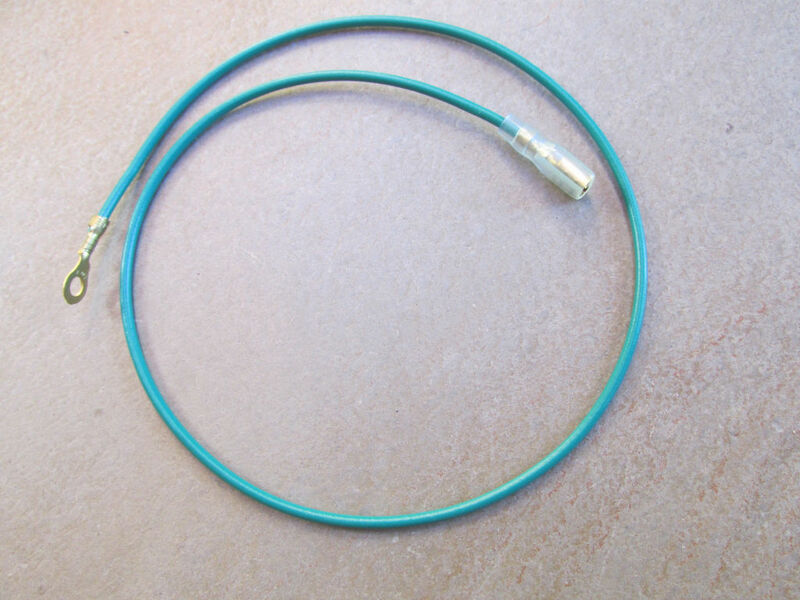 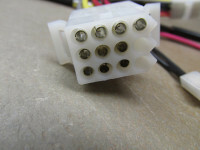 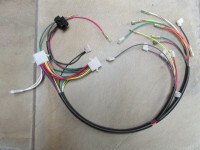 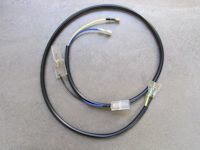 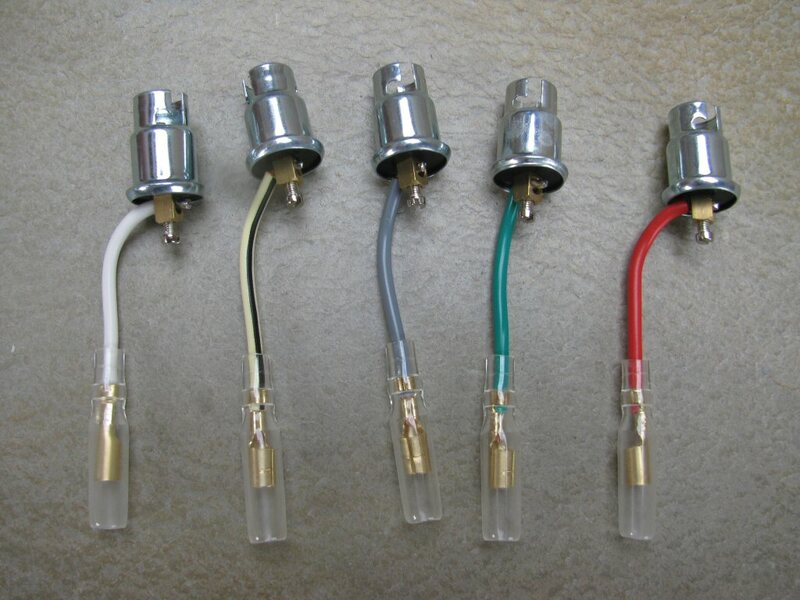 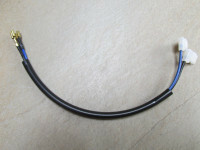 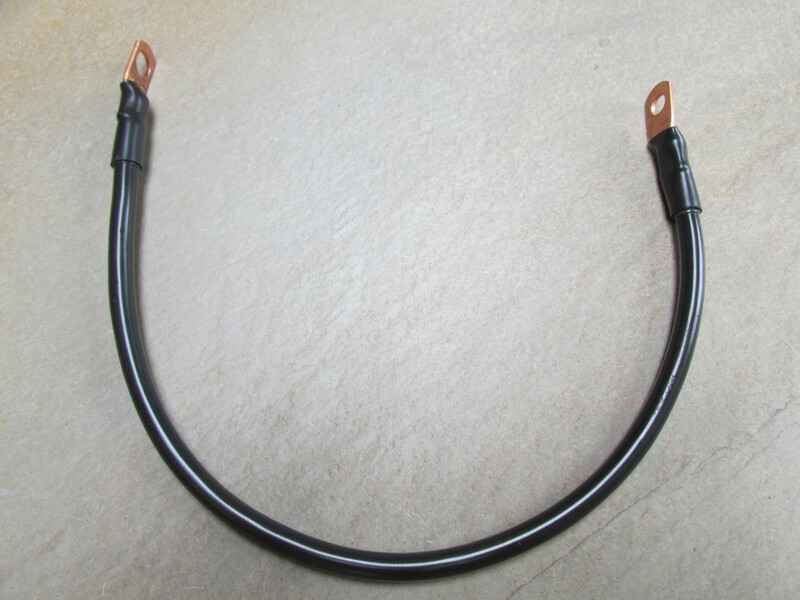 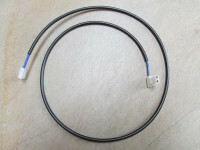 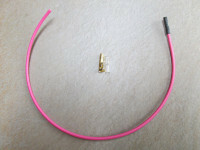 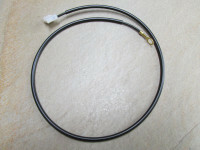 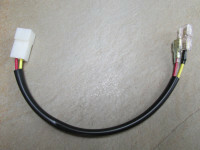 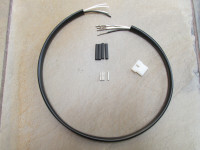 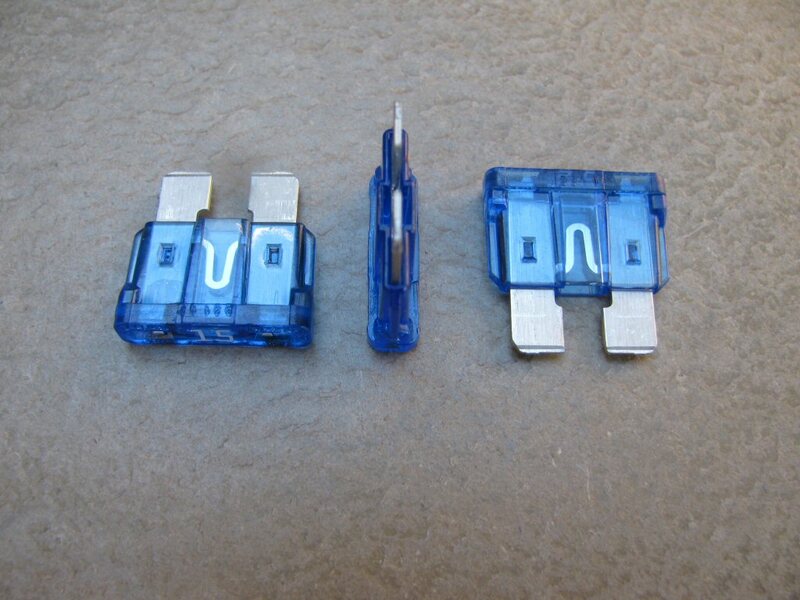 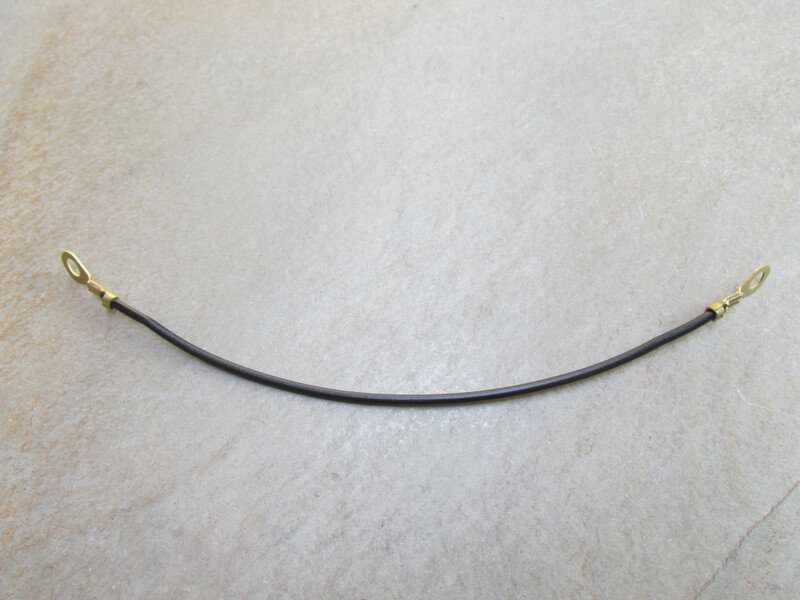 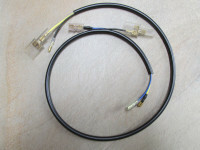 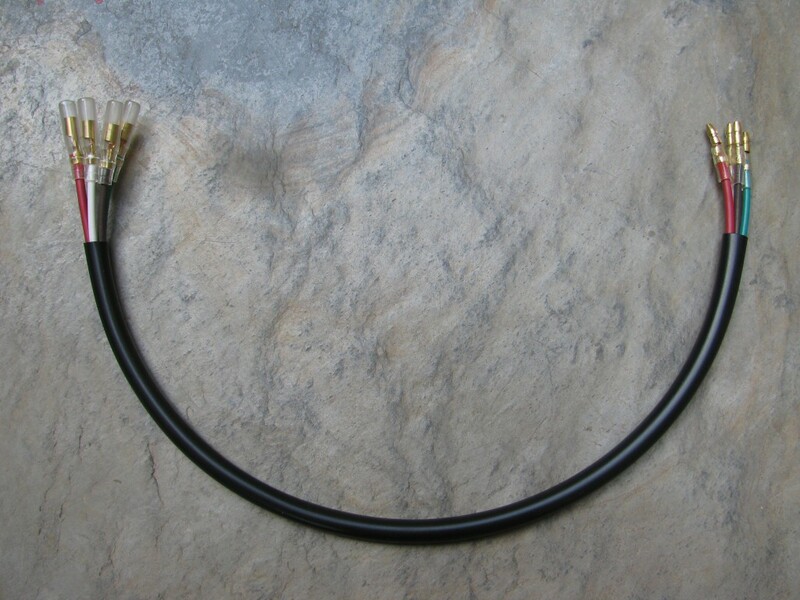 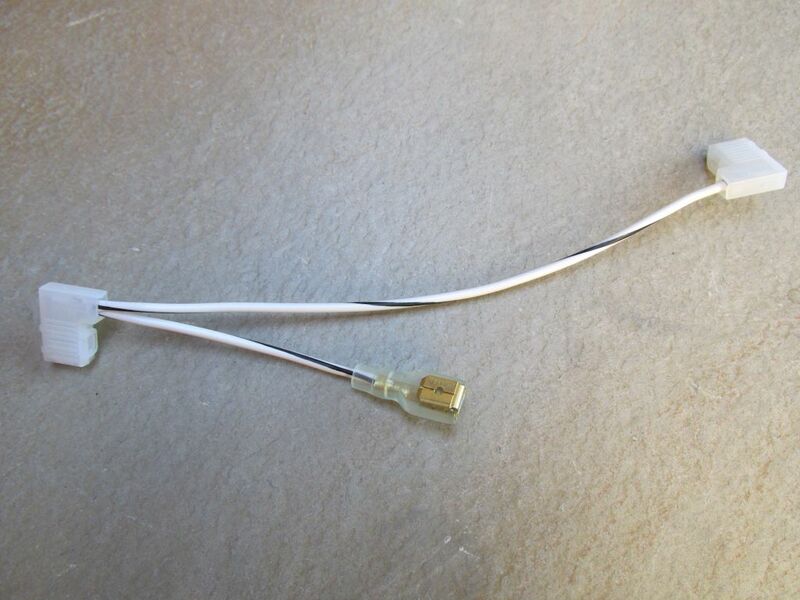 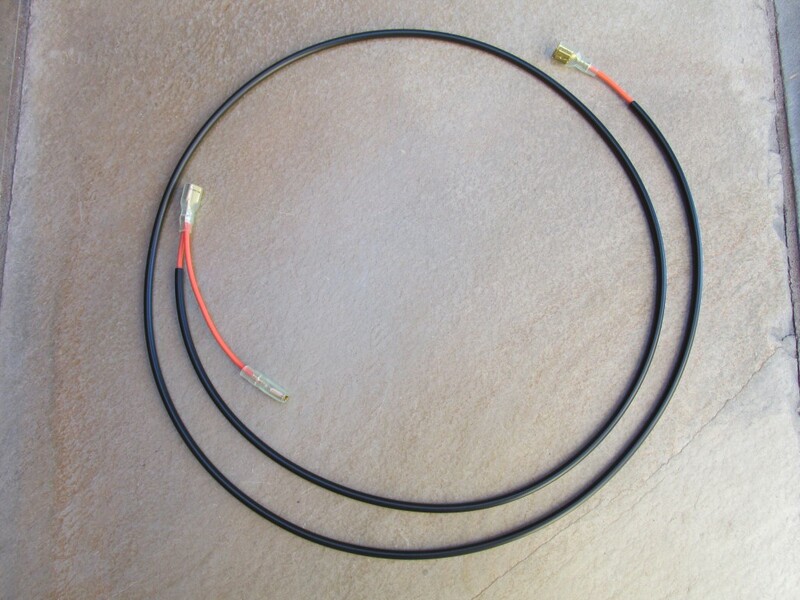 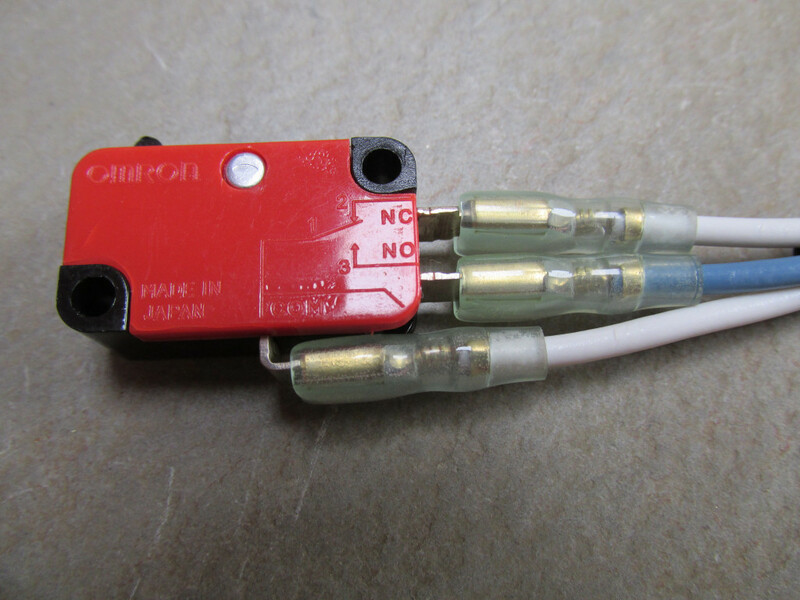 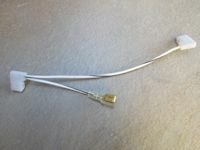 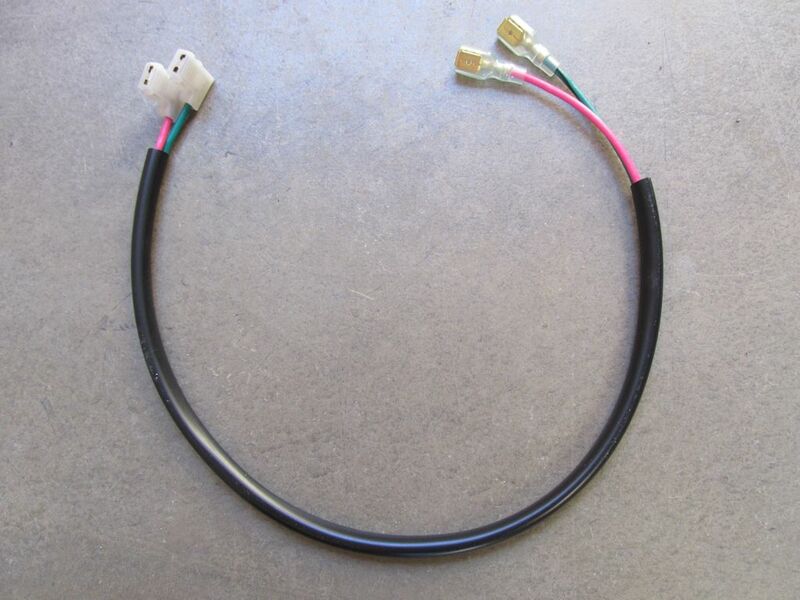 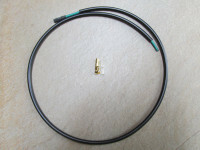 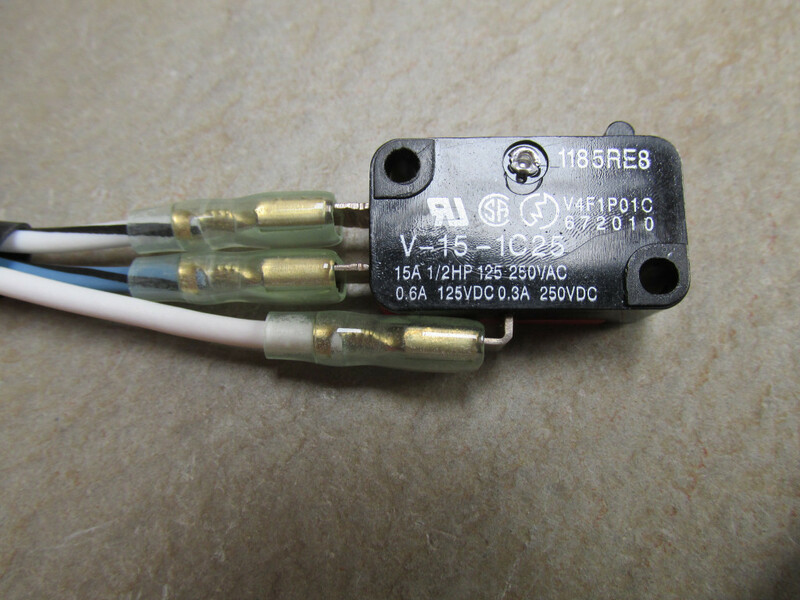 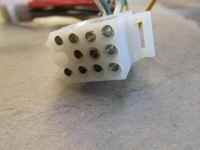 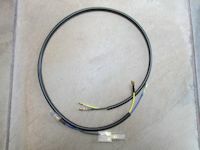 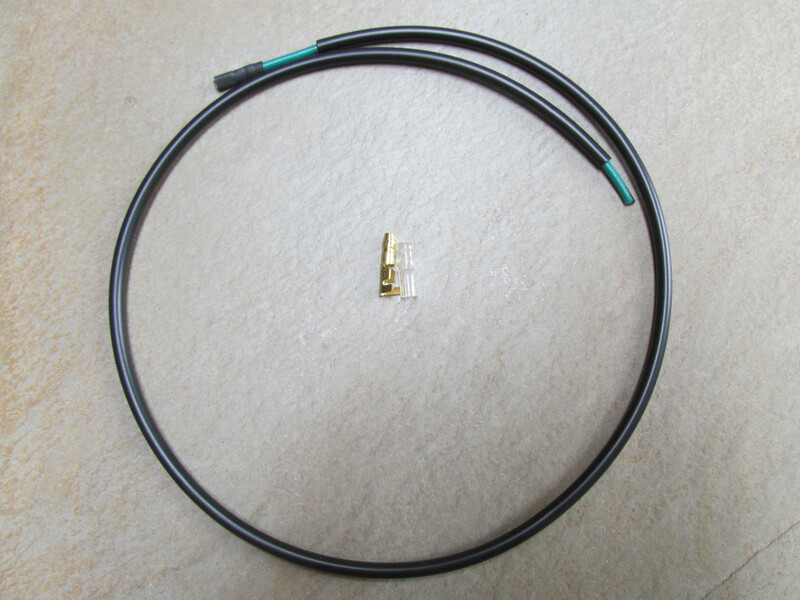 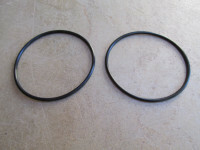 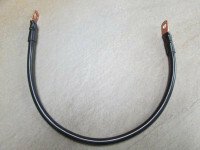 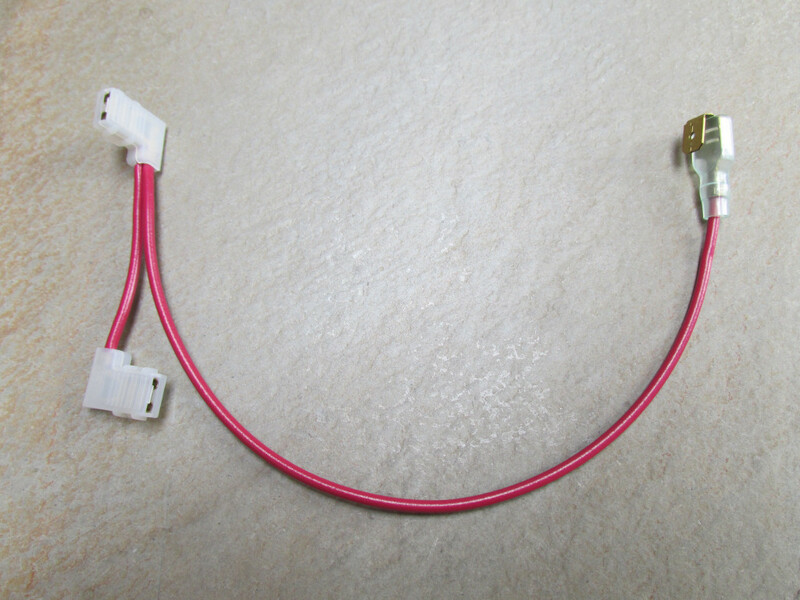 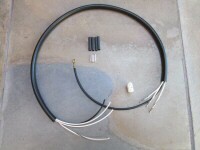 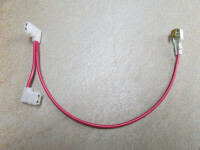 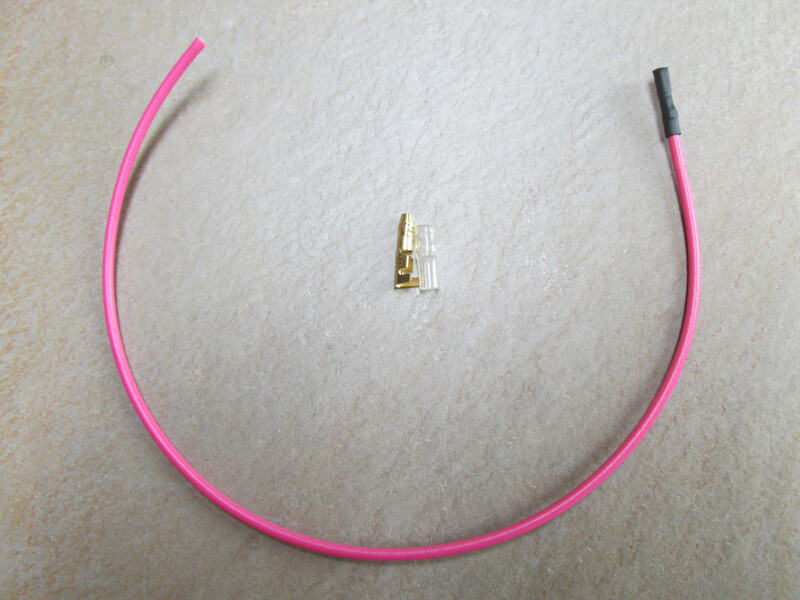 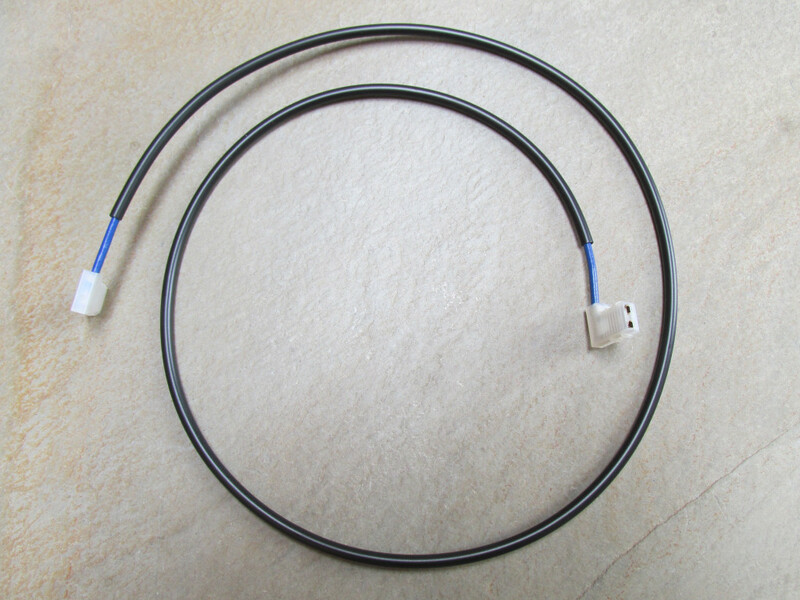 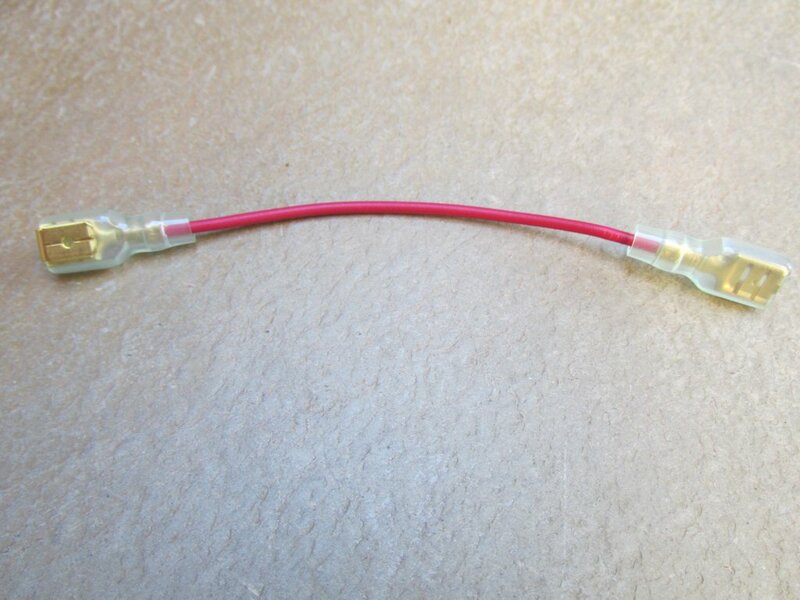 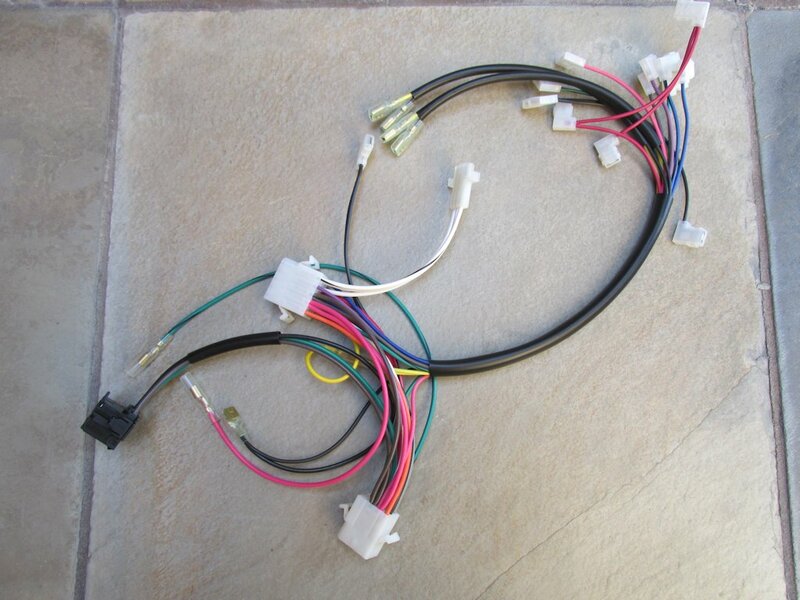 Used to interconnect the dash turn signal indicator lights with the headlight interconnect harness. Dash turn signal ground interconnect. 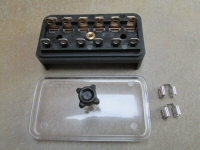 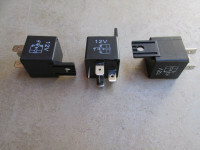 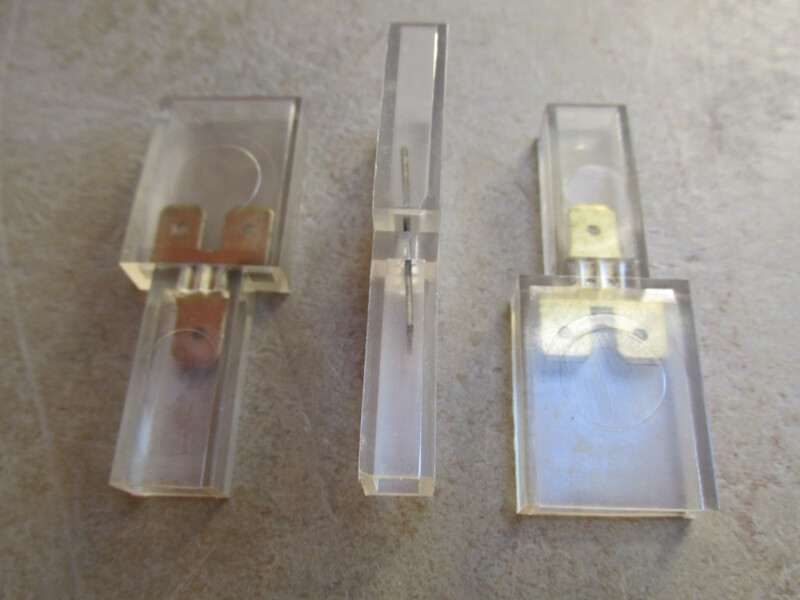 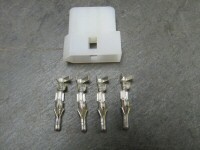 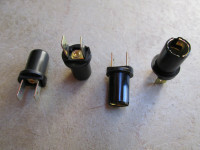 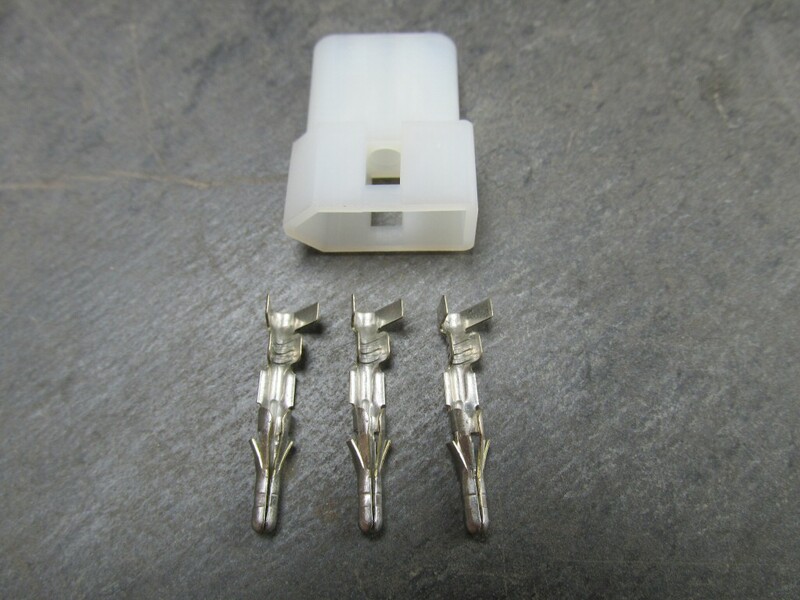 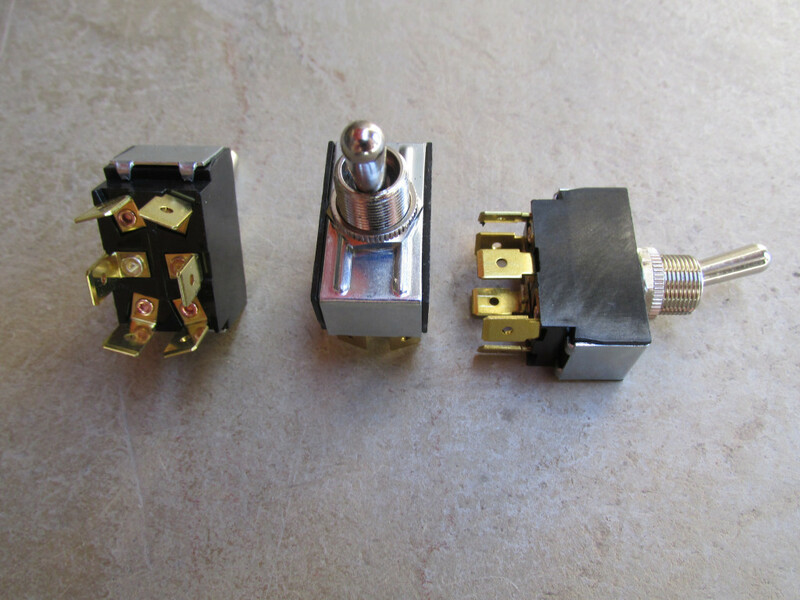 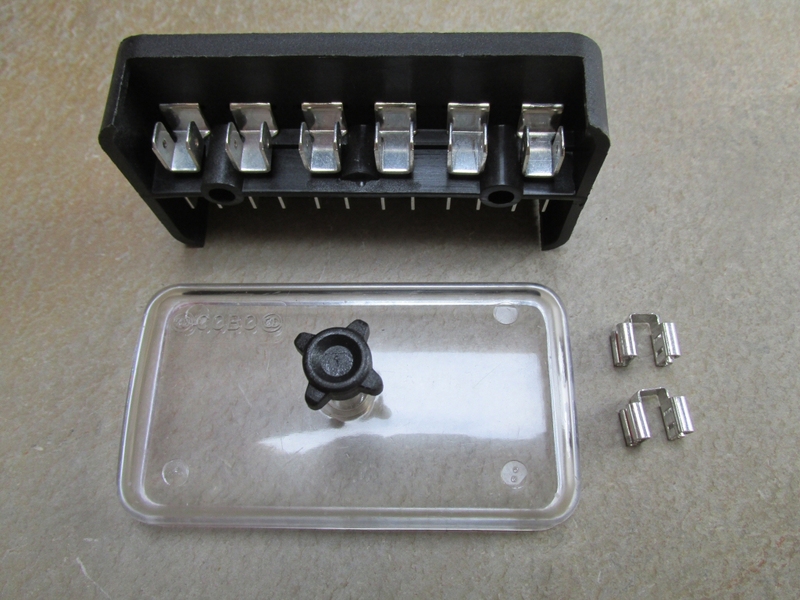 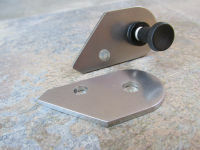 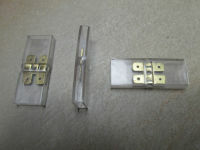 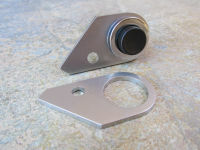 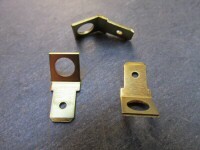 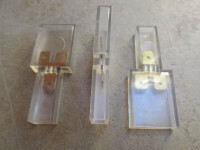 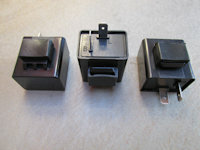 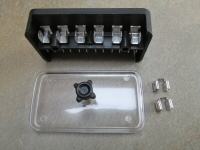 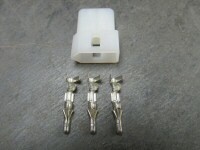 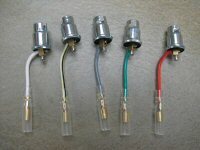 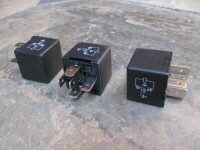 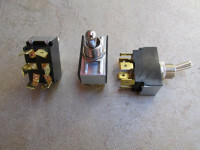 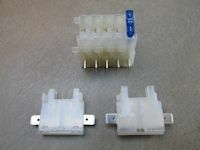 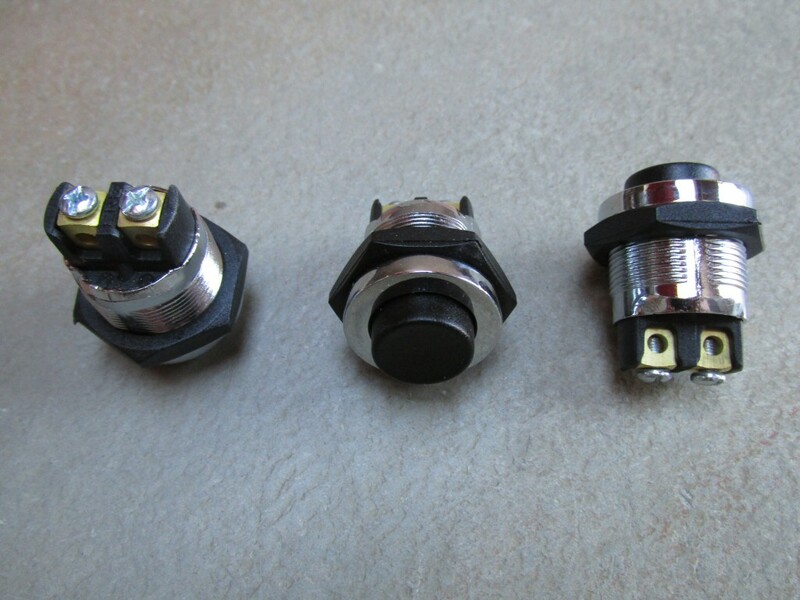 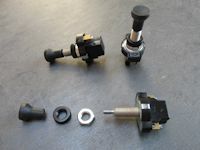 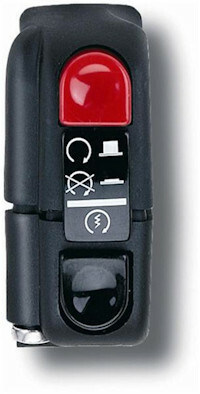 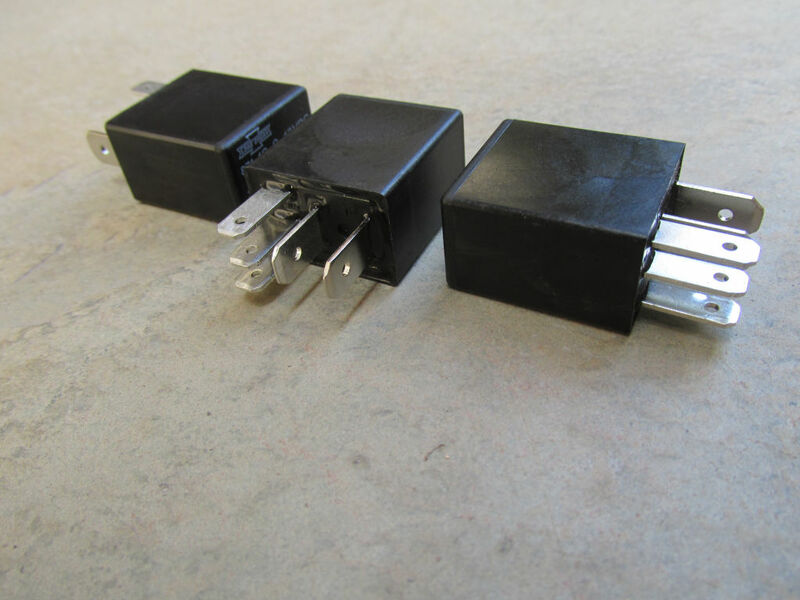 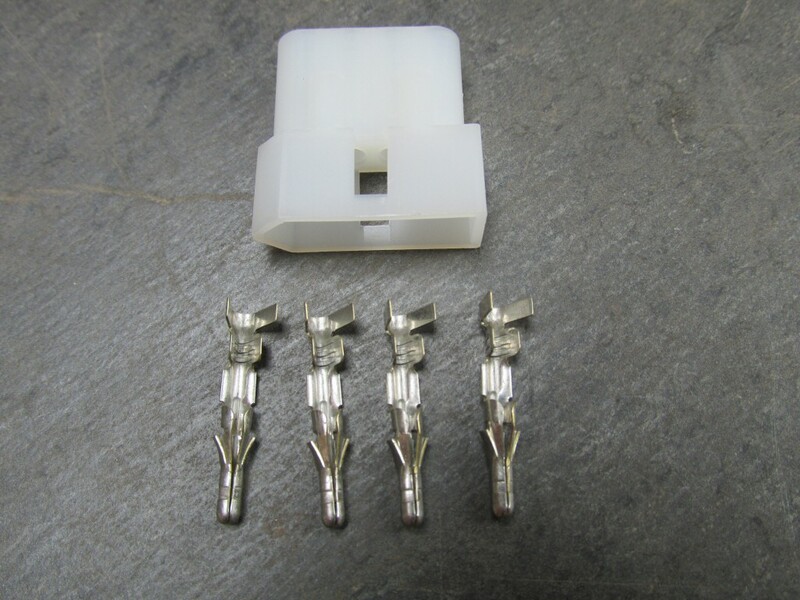 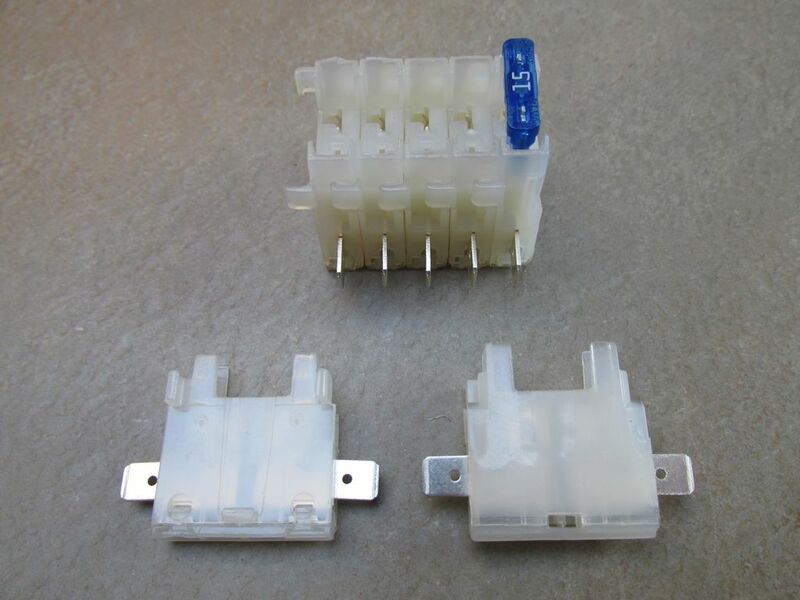 Connects the turn signal flasher to the toggle switch to provide power for 4-way flashing hazard lights. 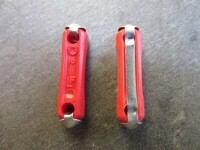 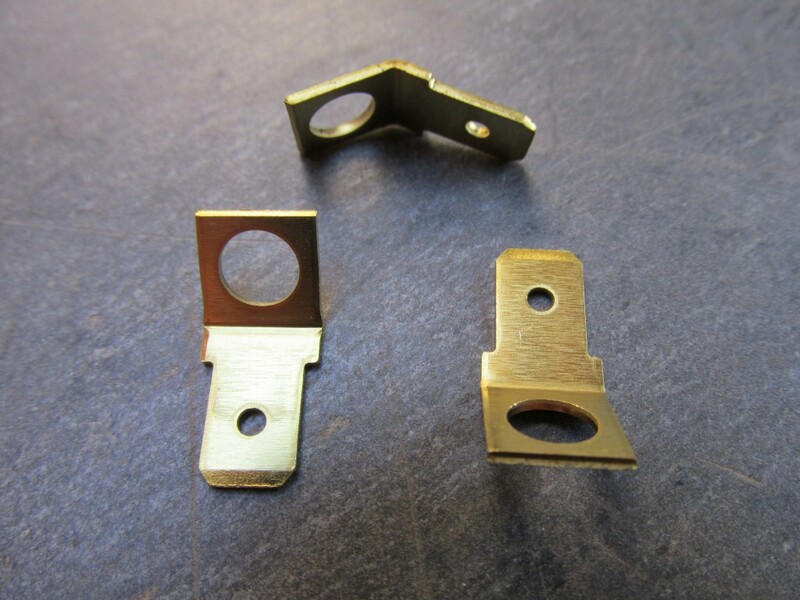 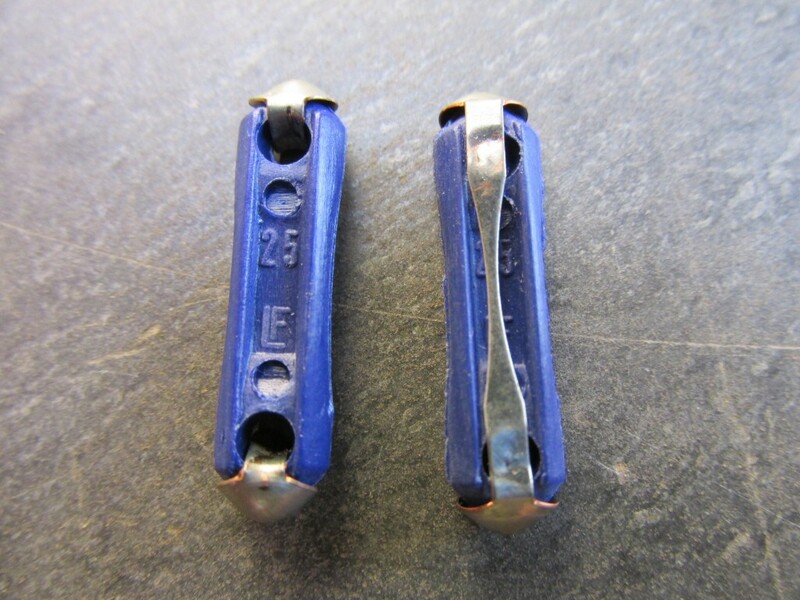 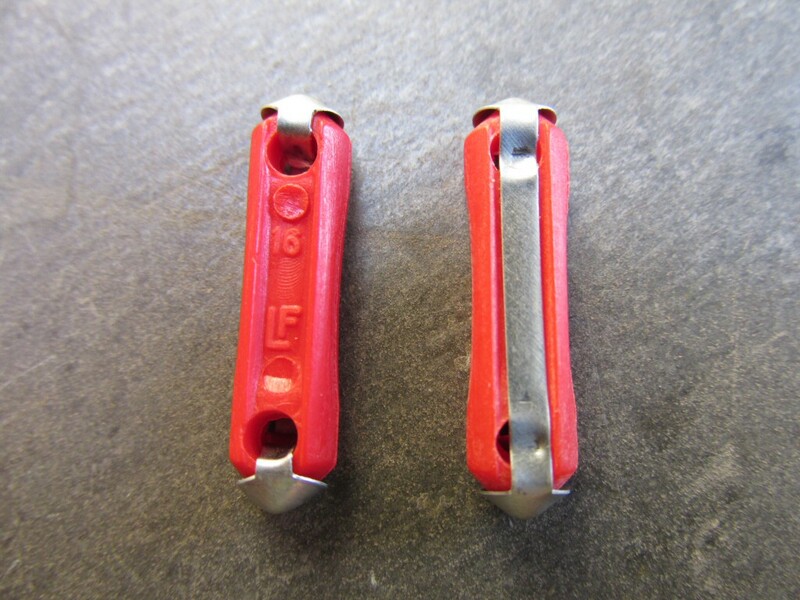 17753160: Flasher to toggle switch. 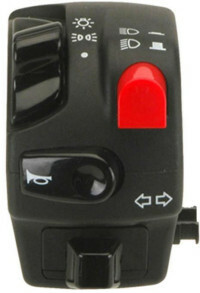 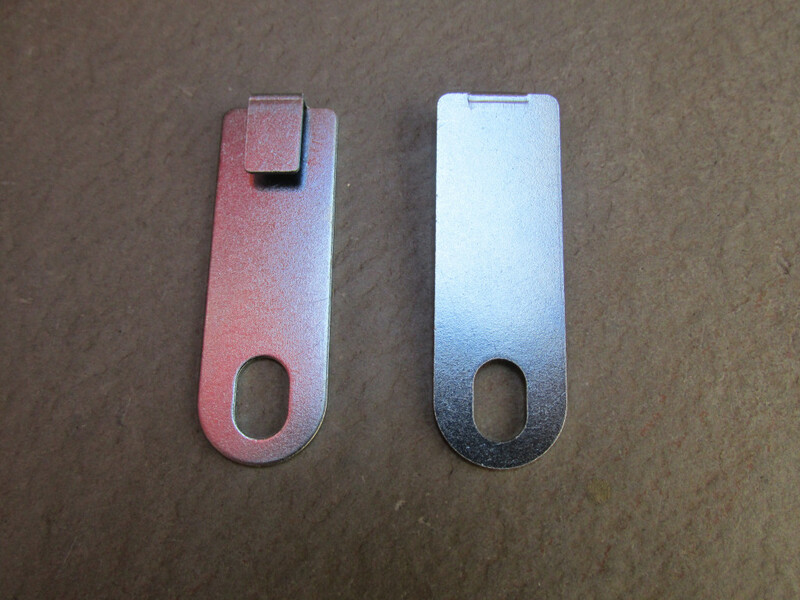 Connects the toggle switch to the turn signal indicator lights located on the dash. 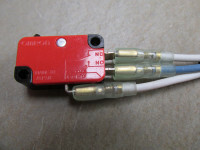 Toggle switch to turn signals. 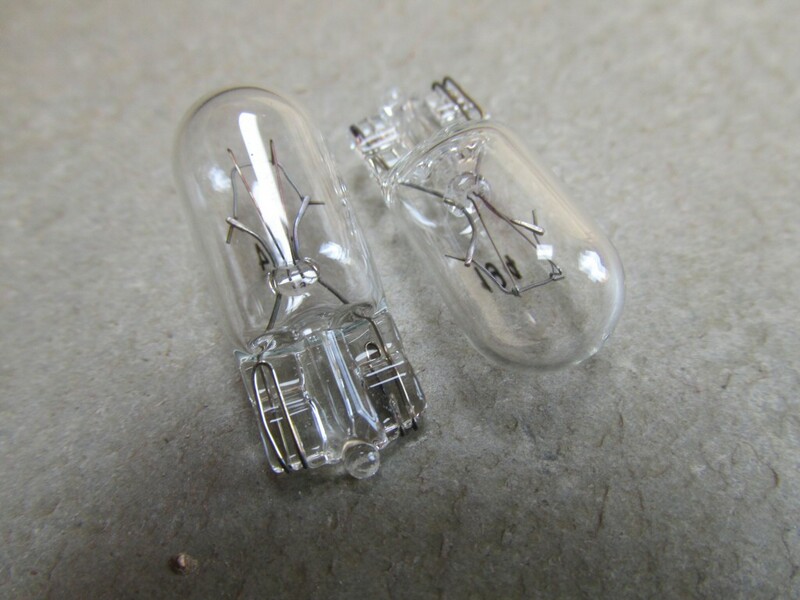 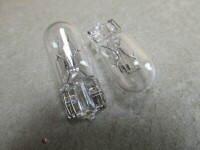 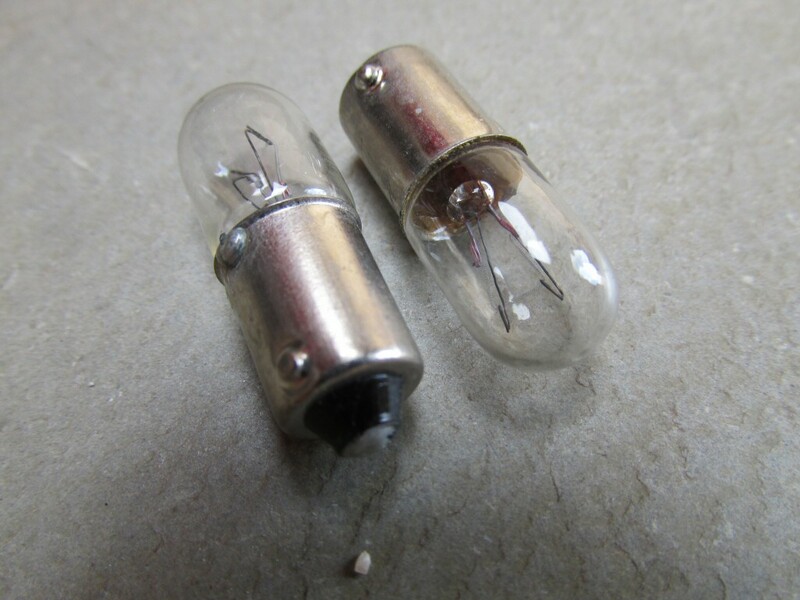 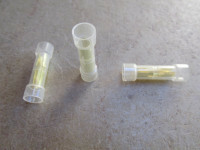 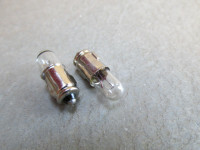 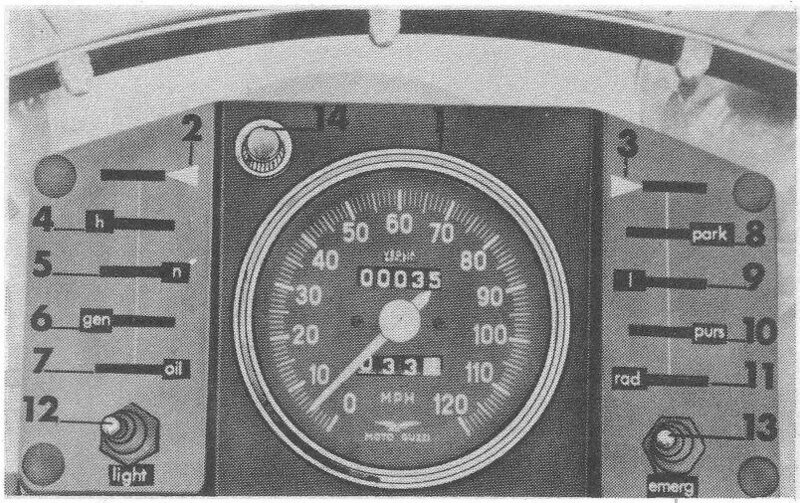 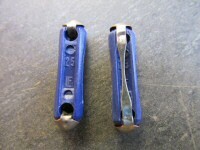 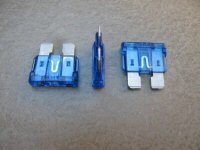 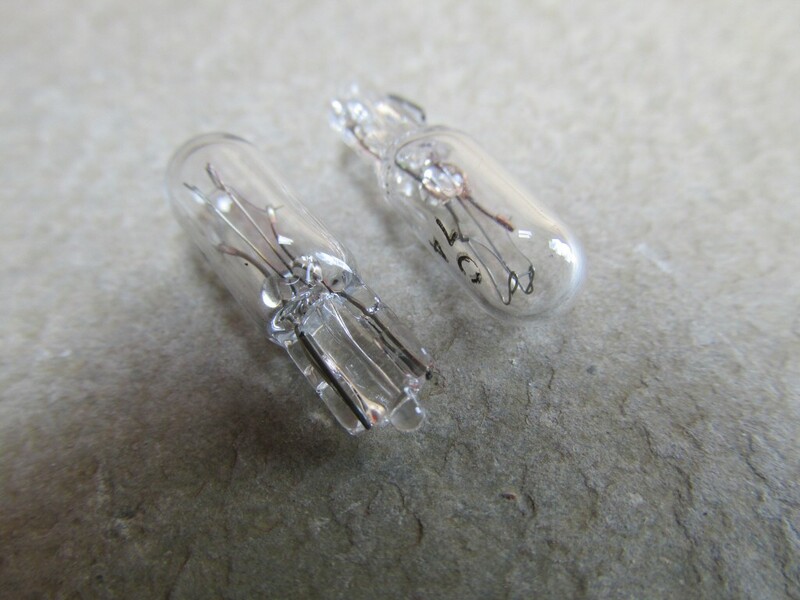 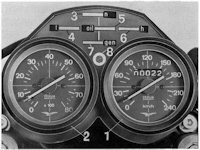 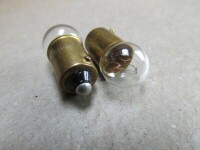 Connects the dash to the tachometer illumination bulb. 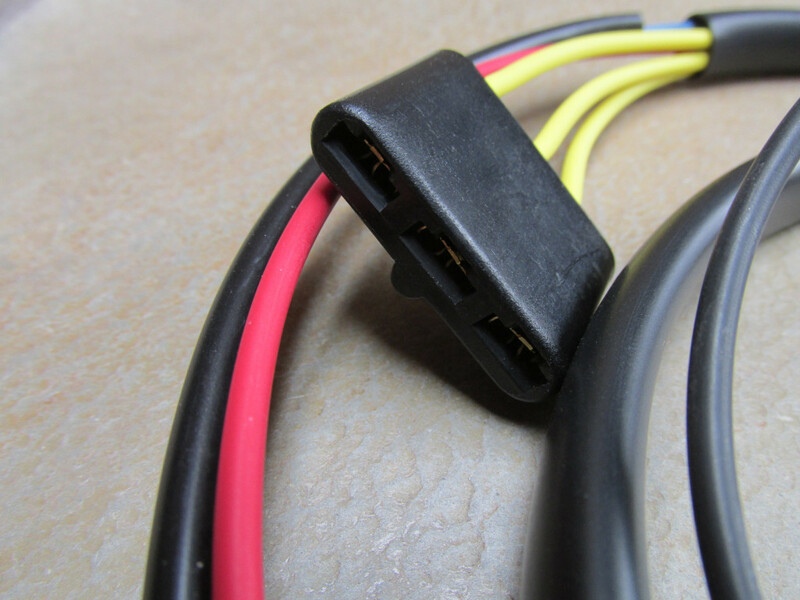 Uses the correct original piggyback terminal. 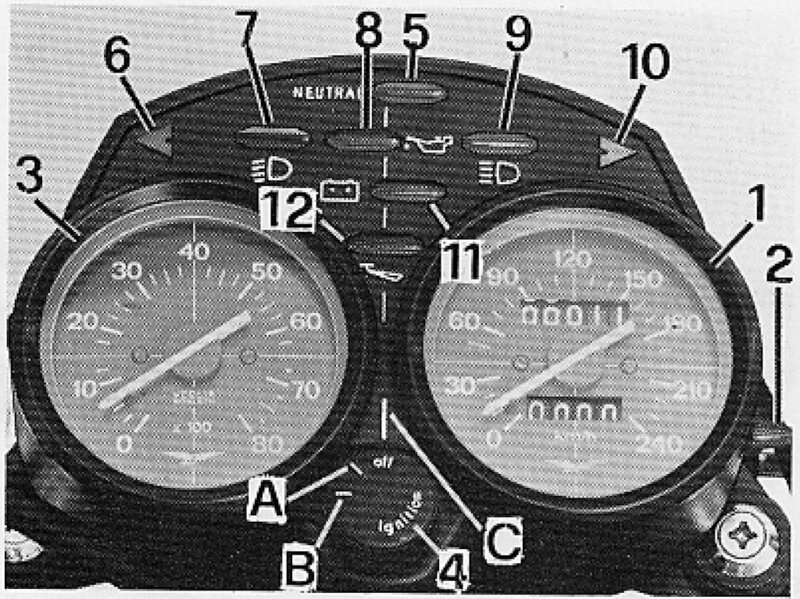 Applicable to this tachometer (not included). Connects the headlight interconnect to the brake fluid level warning light on the dash. 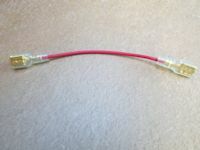 Connects to any convenient red terminal at the dash. 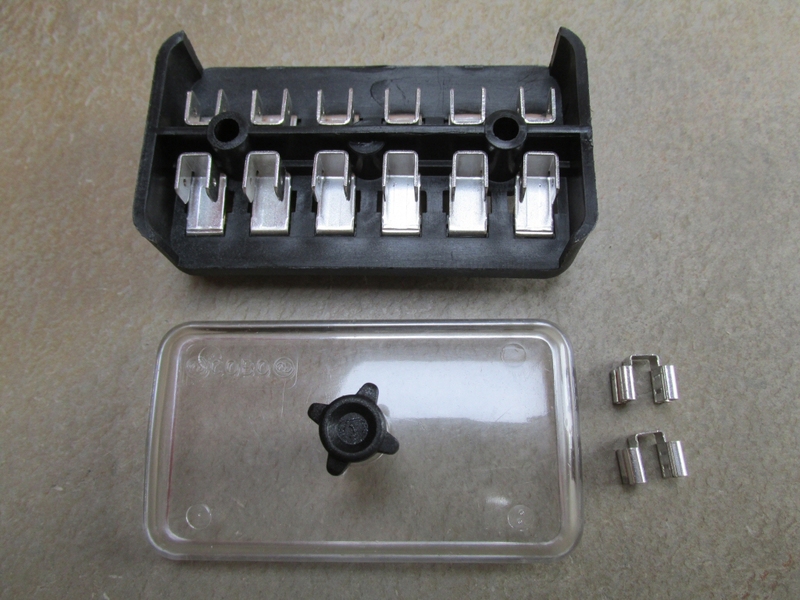 17724650: Dash interconnect for brake fluid level warning light	Late dash with a brake fluid level warning light. 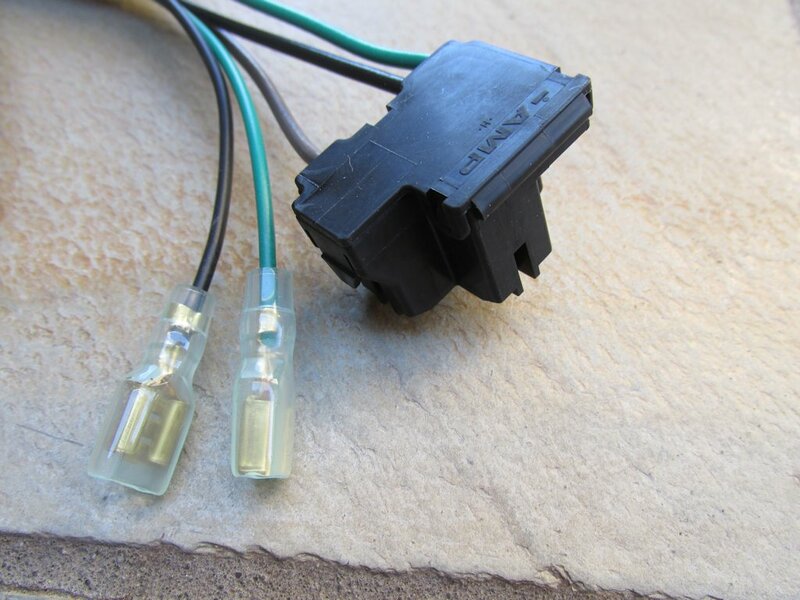 Connects the rear brake master cylinder to the brake fluid level warning light on the dash.